I seem to have an illness. It is called summer separation disorder. Haha. I still cannot get over summer. 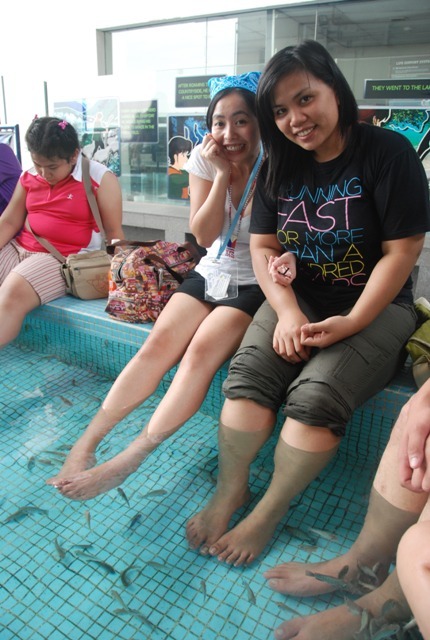 I still want go to more beaches and enjoy the sun…… Although that is achievable, all I need is to have time. Thats it time, oh why your so precious? 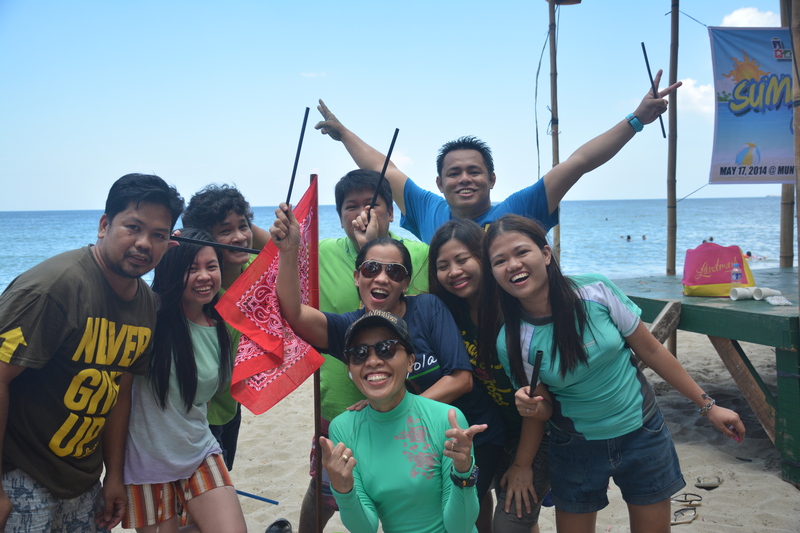 Since Im still in summer mode, why not talk about our company summer outing and team building. 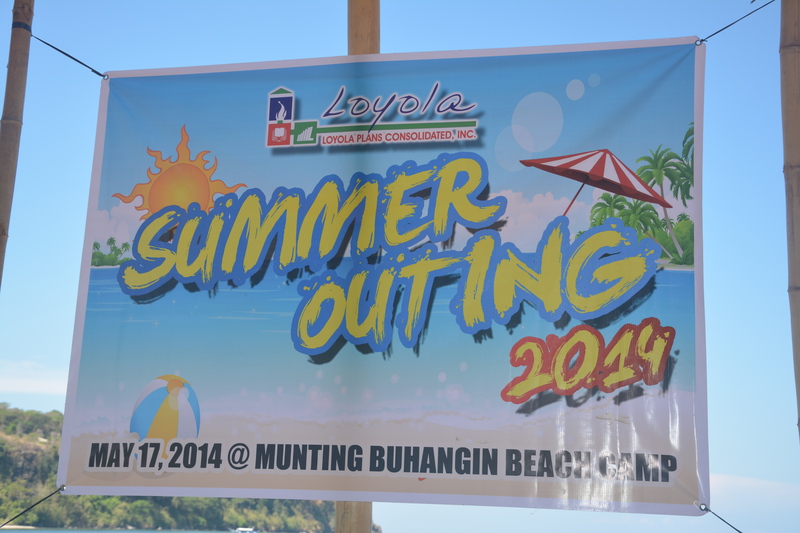 It was held in Munting Buhangin Beach Camp, in Nasugbo Batangas. 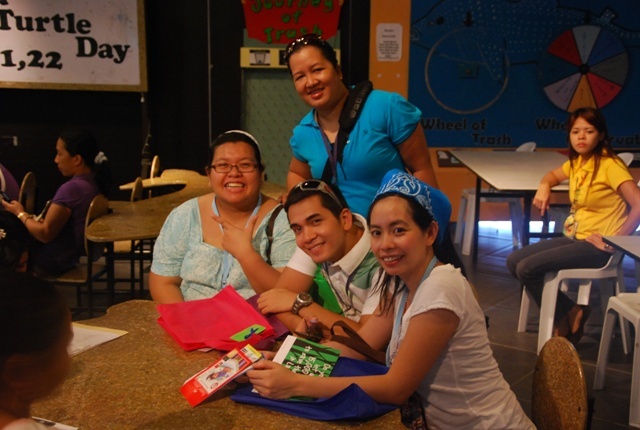 It is about 2 to 3 hours away from Makati. It is near enough for a weekend get away. The beach is nice and the wind is refreshing too. You can sense of the rural atmosphere, calm and quiet and yet you know you are still near the urban chaos. 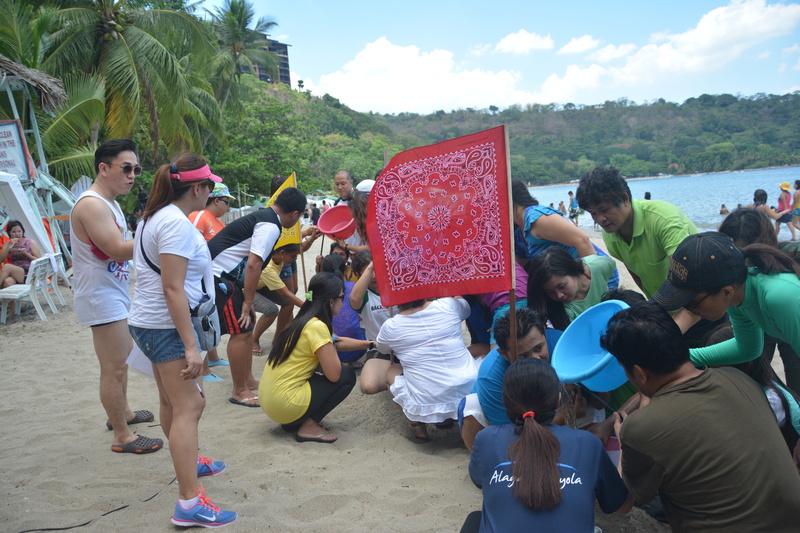 The activity was organized by our Human Resource Department. 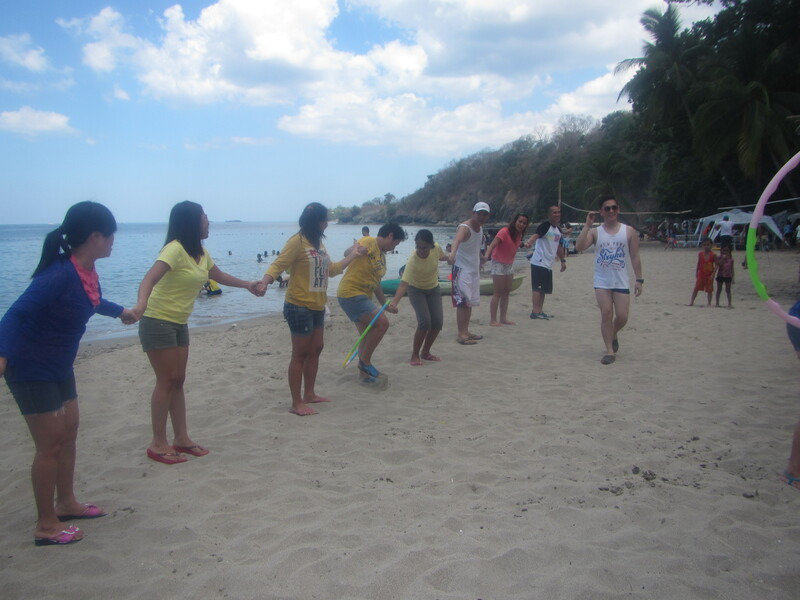 They prepared various fun games that promotes team building. 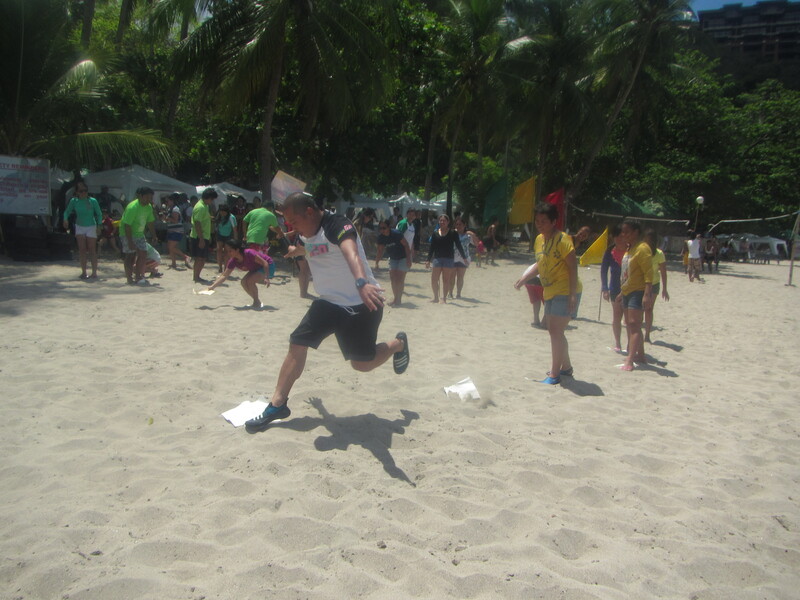 In fairness, the games were quite simple yet enjoyable. 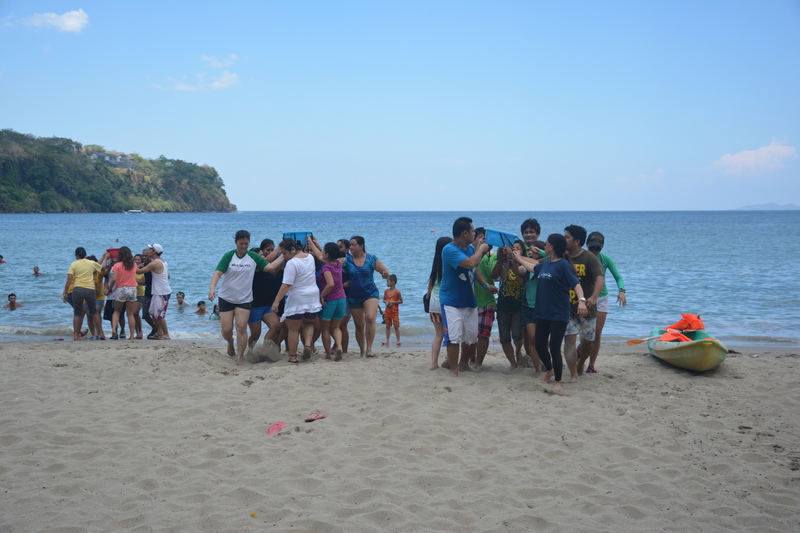 It really stir the competitivenes in each employee; leaders came out with strategies and in the end team work prevails. It was a day of fun and peer bonding. Nothing serious really. 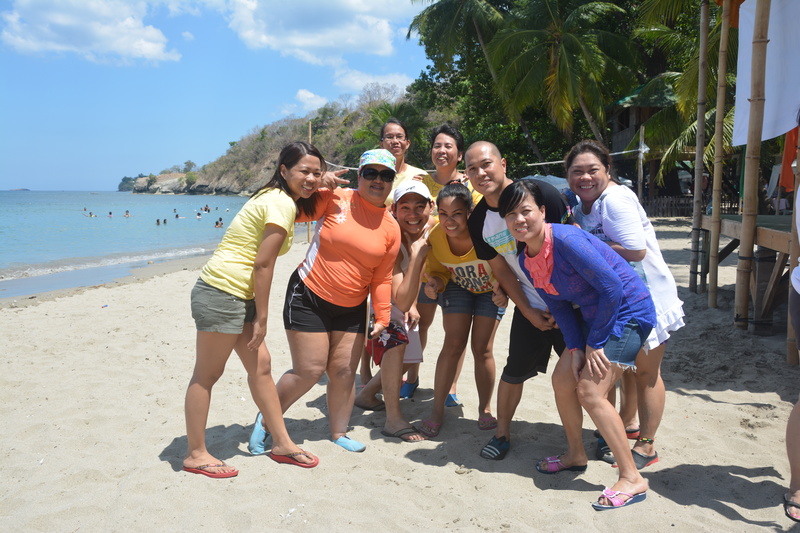 We just took a day out of our office cubicles and enjoyed the sand, sun and each other companies. Paper bridge game. Team should step on the paper bridge. Still the paper bridge game. Team to finish first wins. 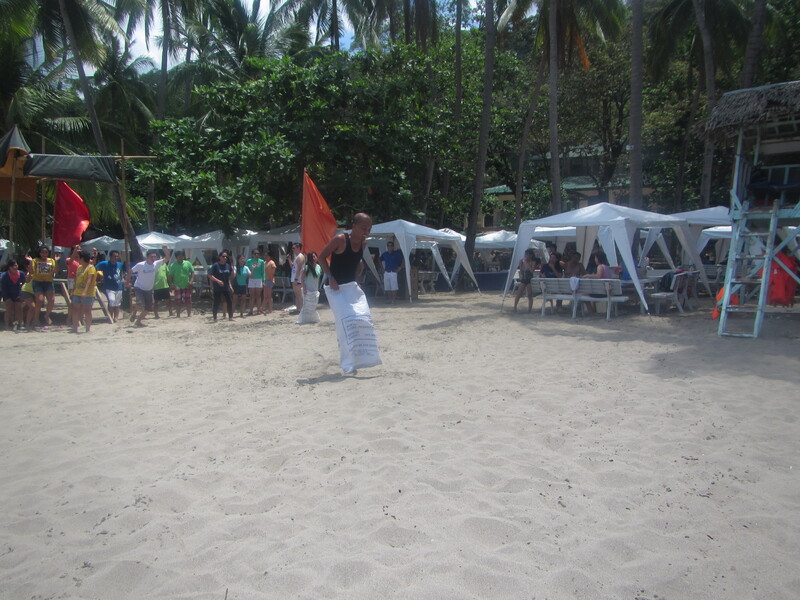 This is how we play with hoolah hoops….. Hurry!!! we are about to win…. After all the games, we are famished and tired. So whats the way to do? 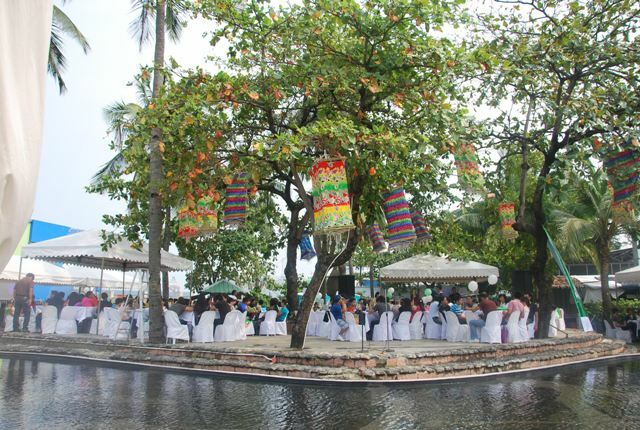 of course eat and drink and just take a lot of pictures with each other…. 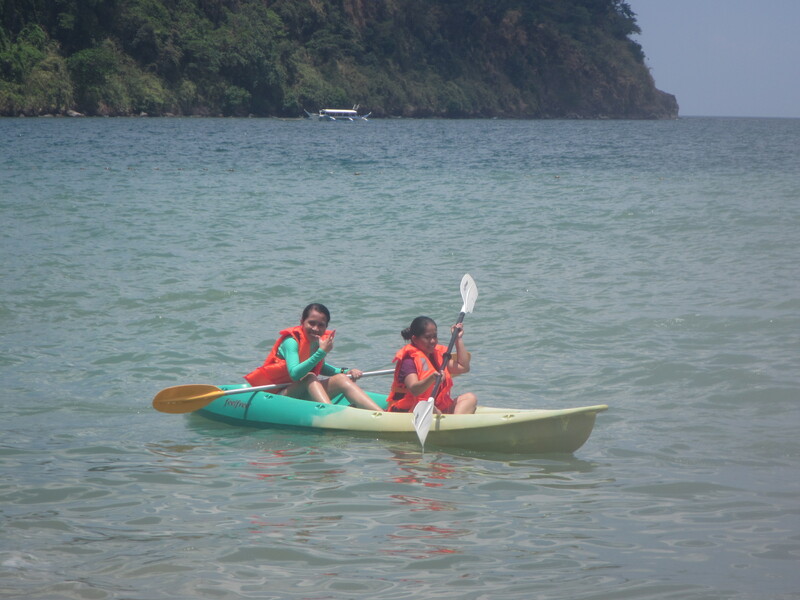 Other activities also include swimming and Kayak paddling. 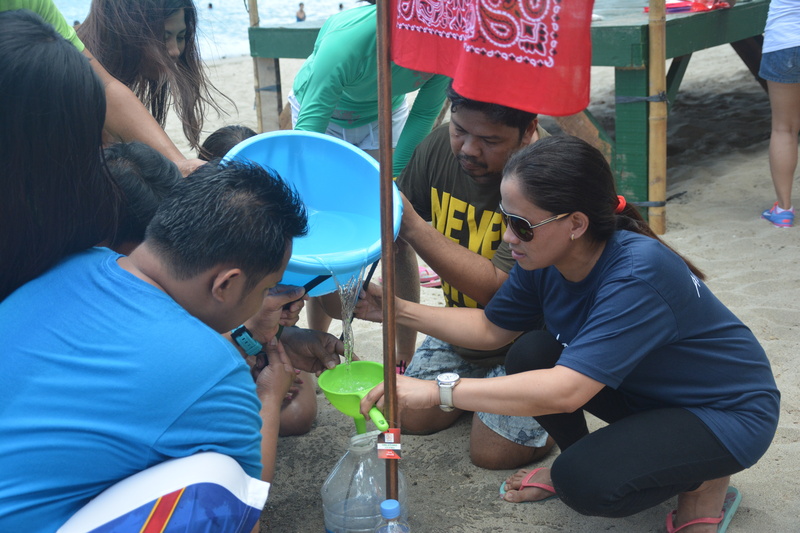 We surely cannot leave the beach without dipping and bathing. Just wonderful!!! Dont go too far girls!!! 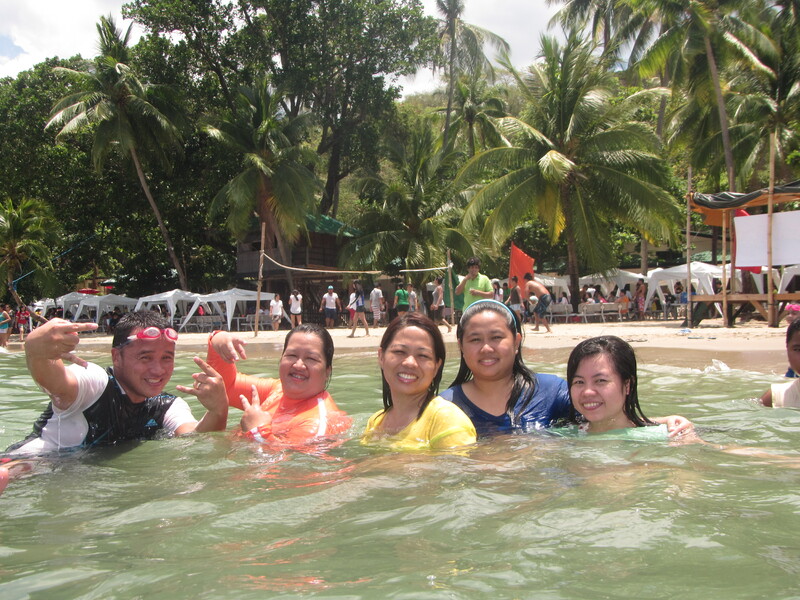 May we remember this day, Hoping that next summer outing will be more fun…. 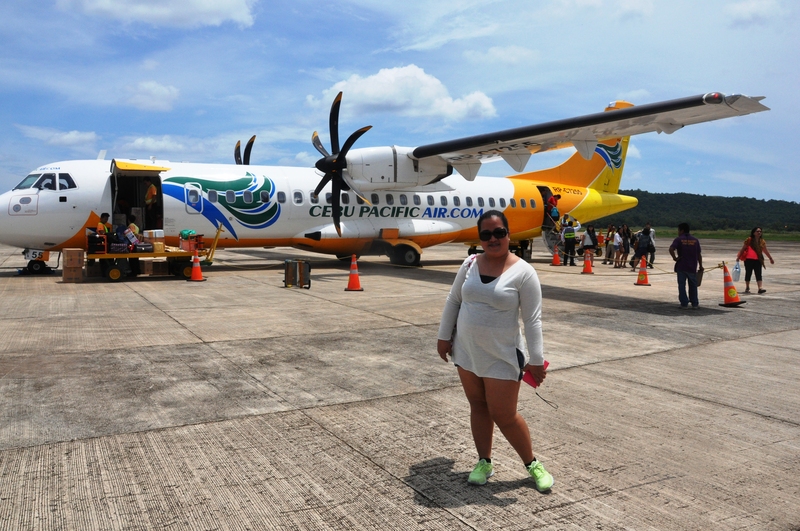 Our Coron adventure officially started when we safely landed in Busuanga airport. Why Im even writing that? Well, I just cannot forget how cute our plane was. It was my first time riding a plane that small. Yes, I am a little bit Scared and I think It was the first time that I really listened to the reminders given by the flight attendants. They are a little bit different too. But anyways were fine. The cute plane. Captain thank you for flying us safely. 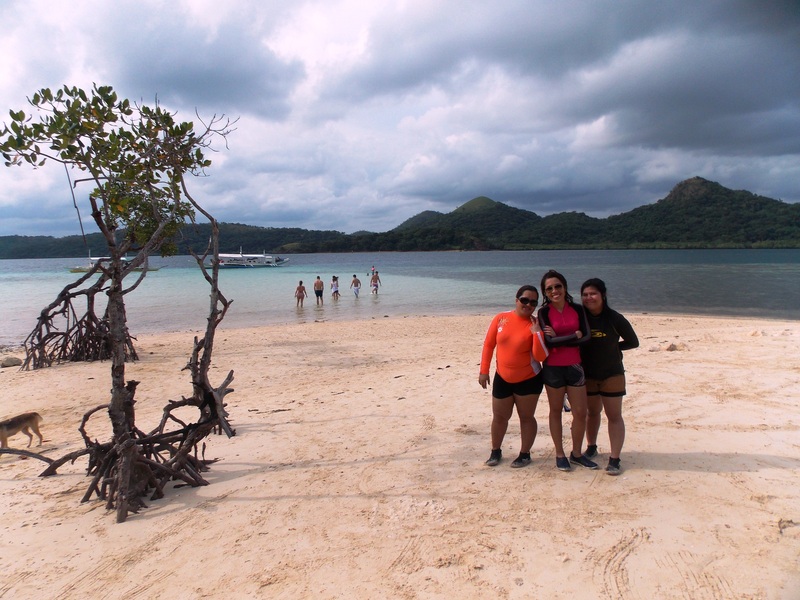 Just like any other tourists, We are exited to see the islets and beaches of Coron. 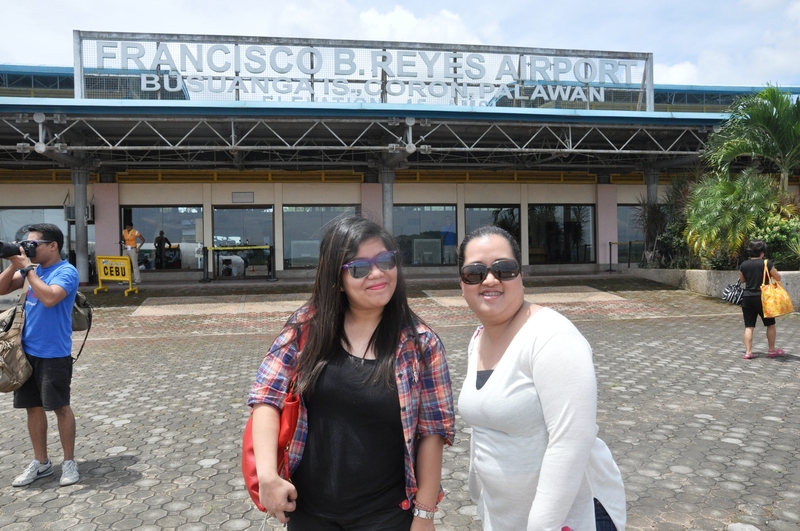 We are ready to be kissed by the sun and turn golden brown….haha. 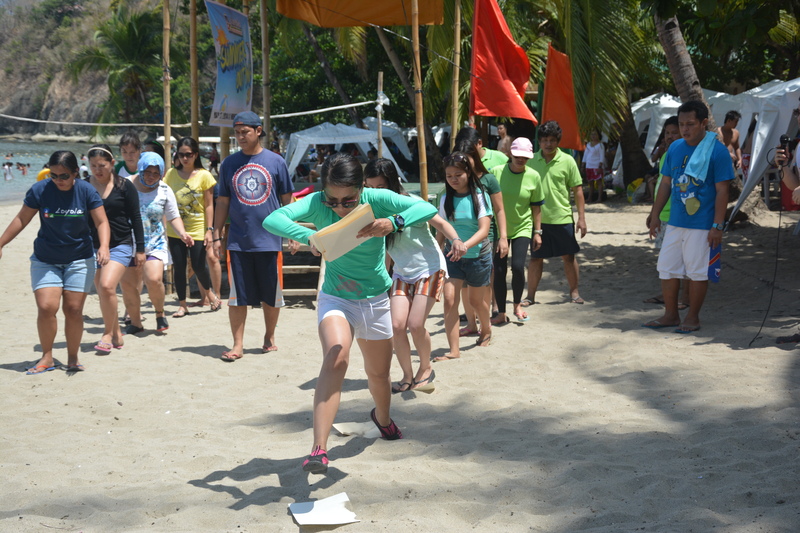 That is why we wore long sleeves rashguard? Whatever….. So our tour started around 7 AM. 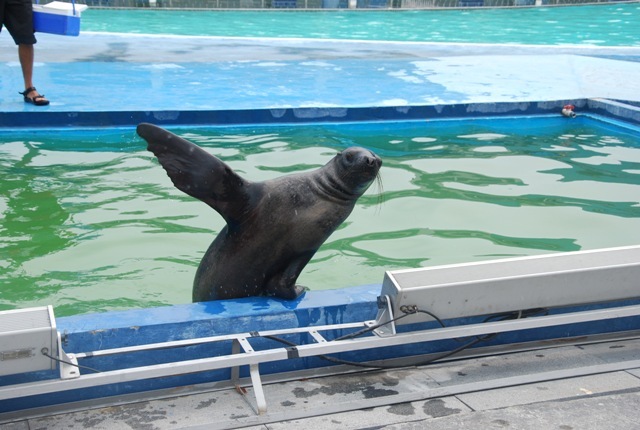 We went to their pier and meet our tour assistant. 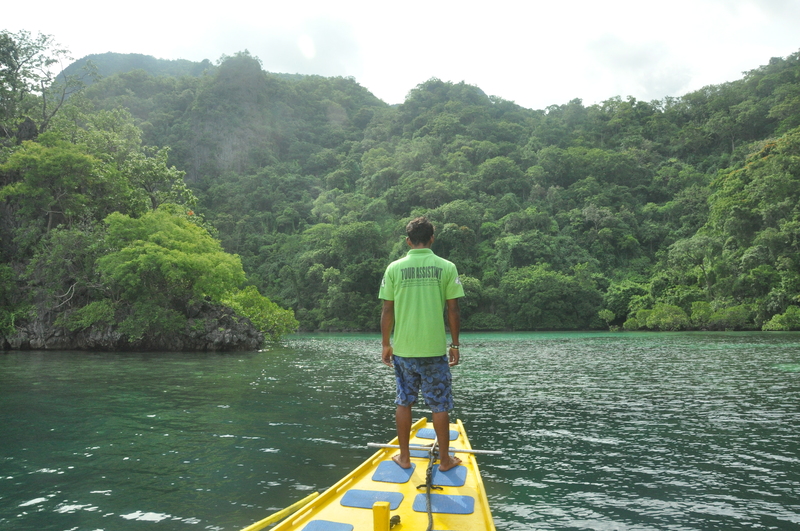 He pointed our boat that will be our ride for the day. 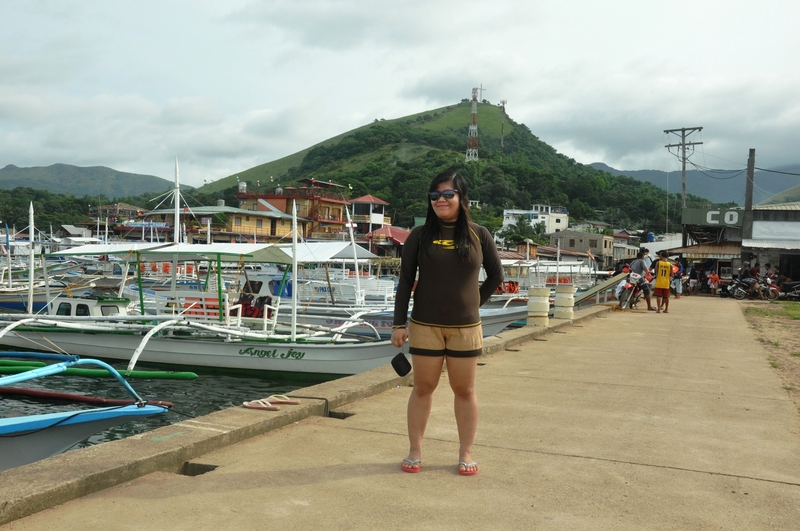 Then, our Island hopping began. 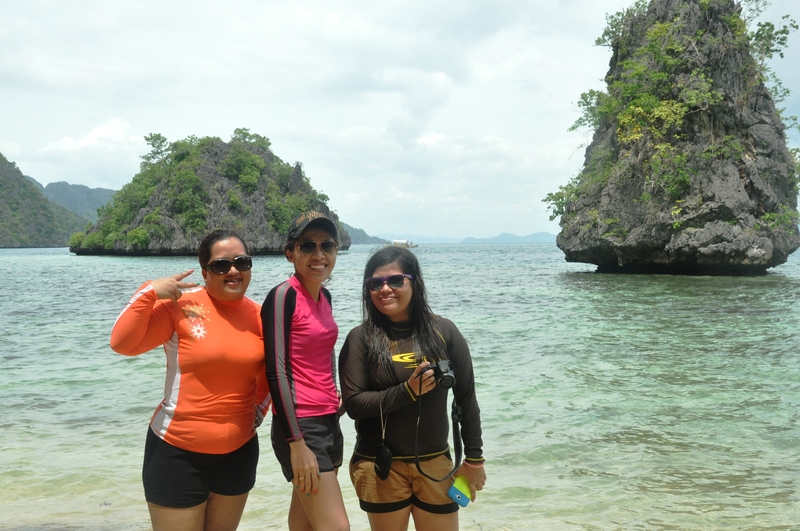 I must say, when you go island hopping in Coron, its best to bring your own equipments (snorkle and the aqua shoes). Also, do not forget to bring bread for the fishes. One of our tour assistants. We have four tour assistants. 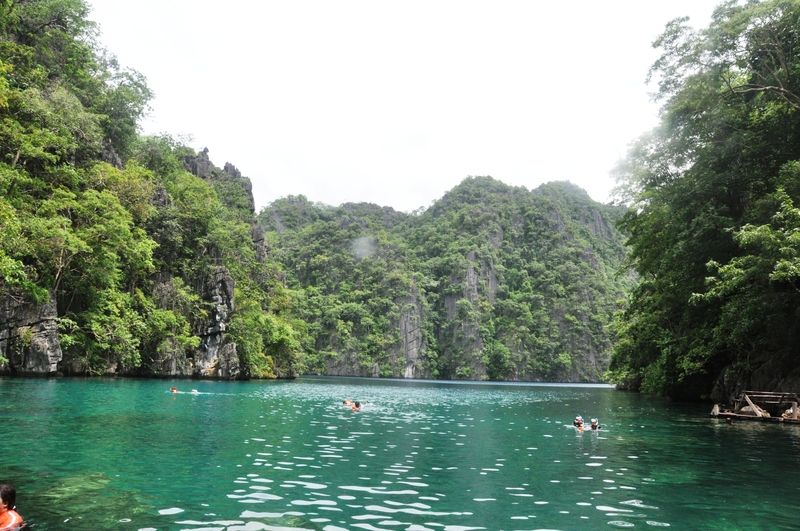 Still in Kayangan Lake. 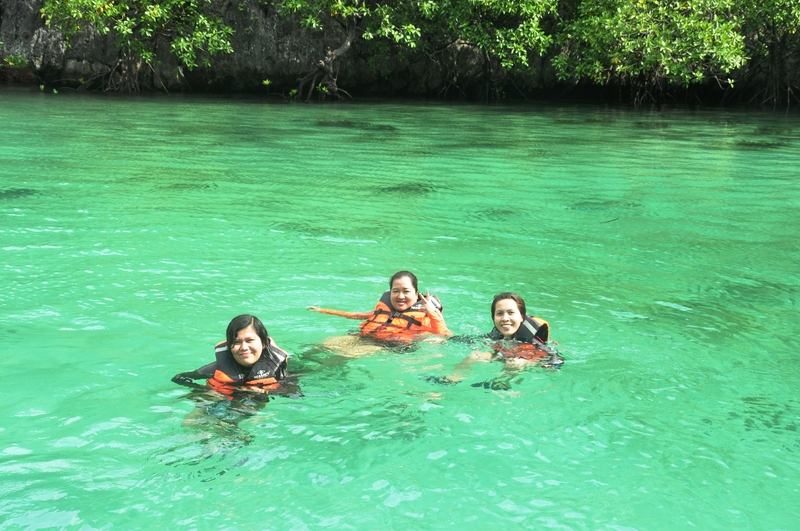 We were advised to wear our life vest for the water is dominantly fresh than salty….So we are not that bouyant. This is a late post. 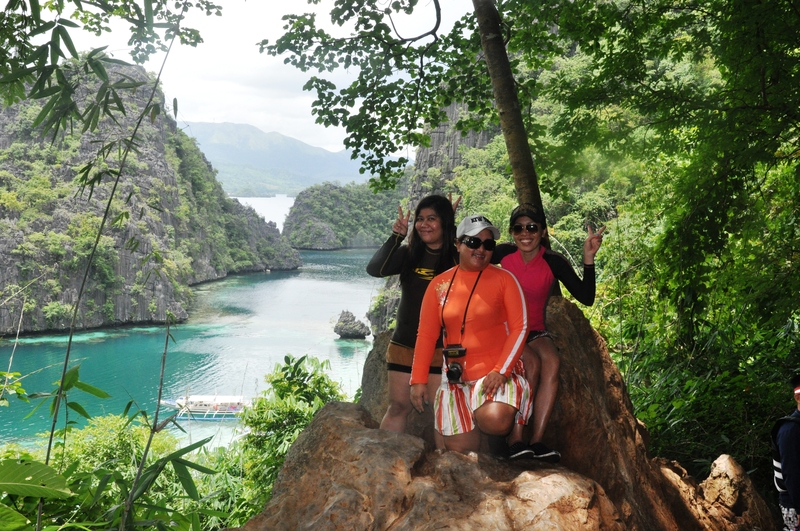 Me and my travel buddies went to Coron last year. 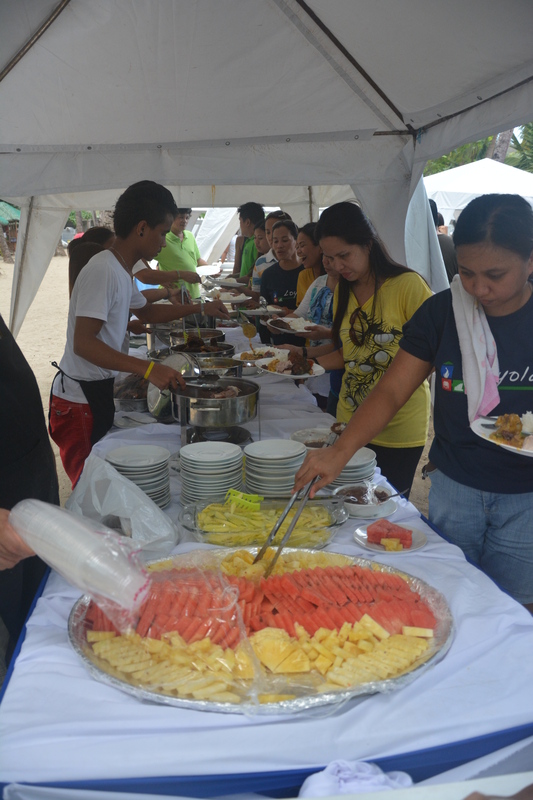 We went there before Yolanda came. Thus, we were fortunate to see the landmark in Mt. 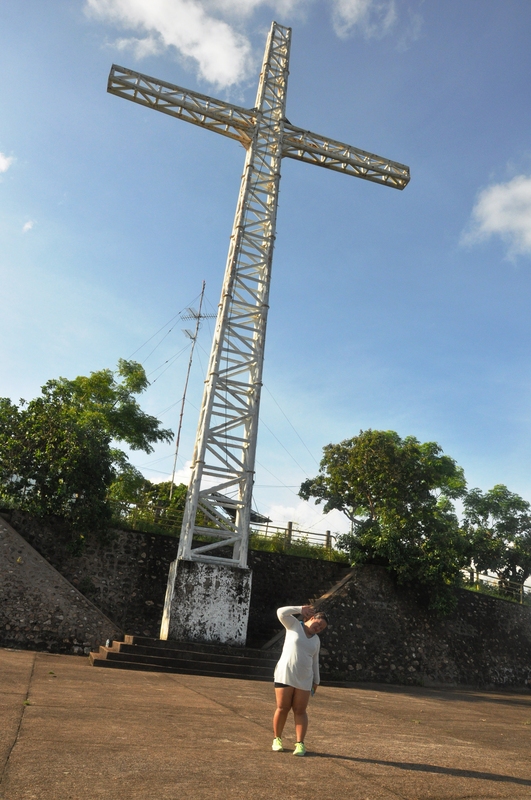 Tapyas, the gigantic cross. Im sure the view from the top is still the same. It is literally breathtaking. 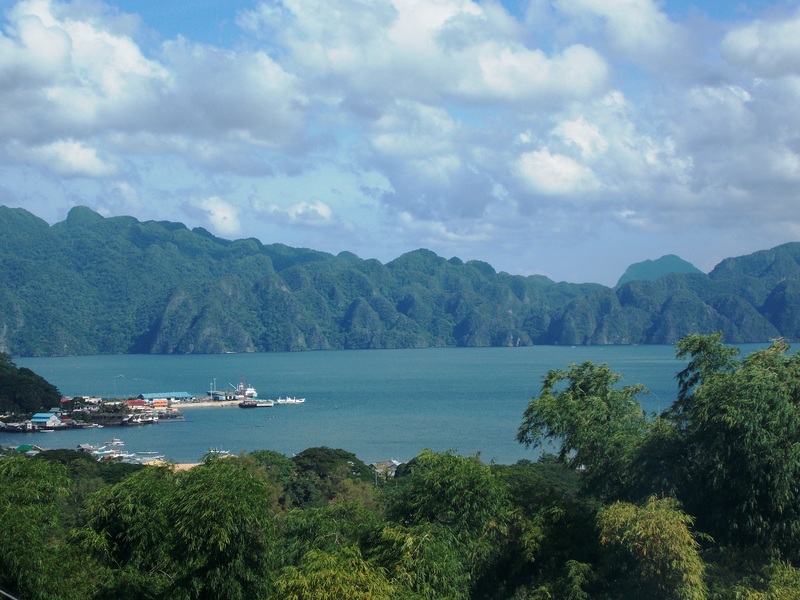 Depending on your lung capacity, the climb is about 15 minutes to 1 hour. Hehe. 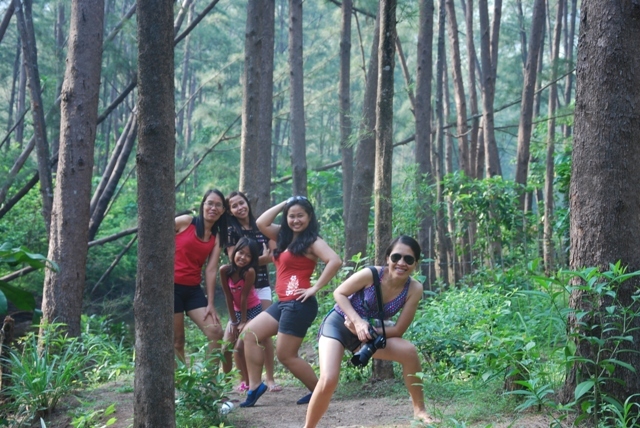 We went there around 4 PM. Perfect time, the sun is not so high and the wind is breezy. Do not forget to bring water going up. You might need it halfway. Actually the climb is not that hard. 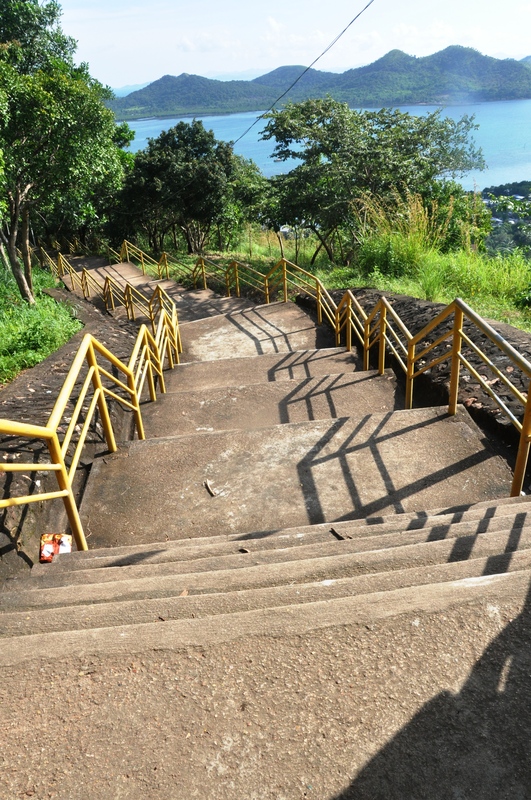 There are pathways and cemented stairs. The problem is with me. I do not have exercise. That is because I am usually confined in the office from morning to late afternoon. The result: my lungs was quite surprised with the activity. Hahaha. I almost give up. 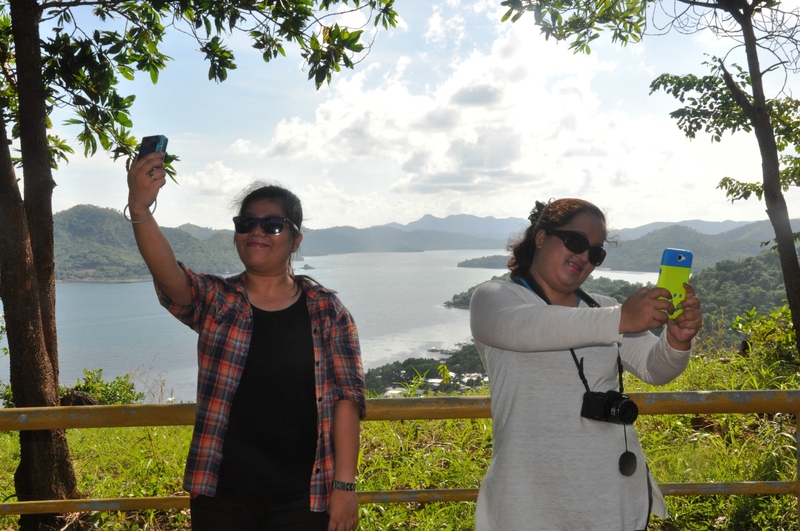 I am thankful that my travel buddies were quite persistent, I was able to reached the top. I am so happy. The view is really great. It was worth the climb. 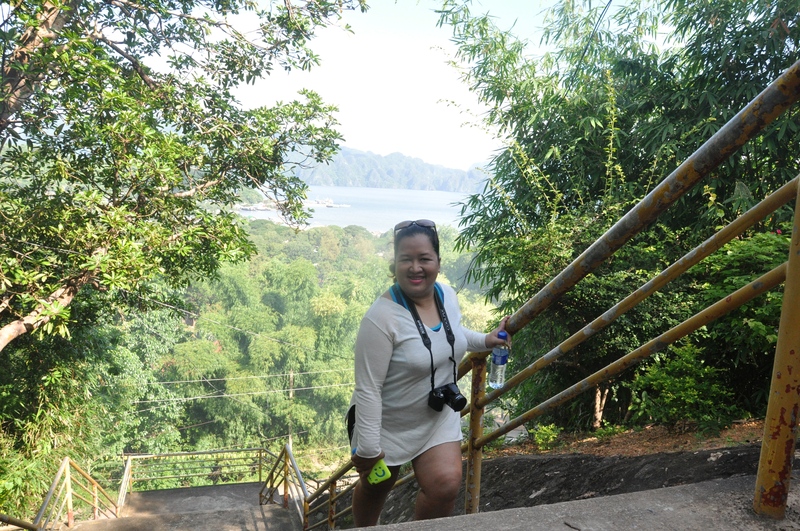 Who would have thought that I am short of breath here….Post parin…. This is the final reward. 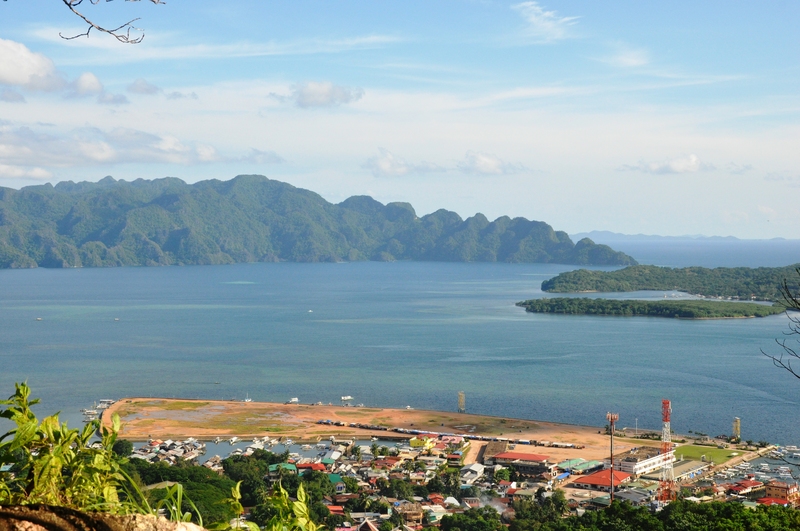 Wow Coron…. And we can now sing were on top of the world!!!! 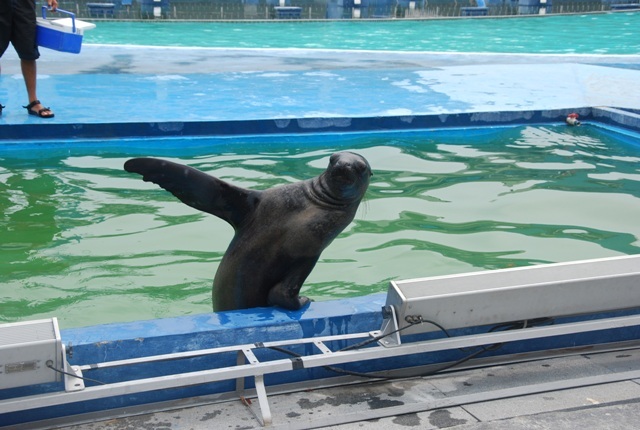 Time really run fast….Its July already….Wheeoww!!! First quarter is always the same….Deadline frenzy for all reports. Books to be closed, Adjustments should be finalized and of course the schedules for year end audit should be submitted….Thank goodness its all finished and done…. Now we can move on….. What I am saying is that, its my least favorite quarter of the year……I Do not want to look back… hehe…. 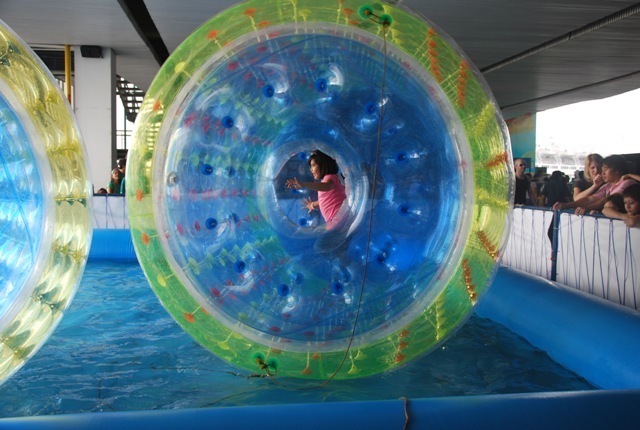 Second Quarter brings promise for summer fun. And we did just that!!! 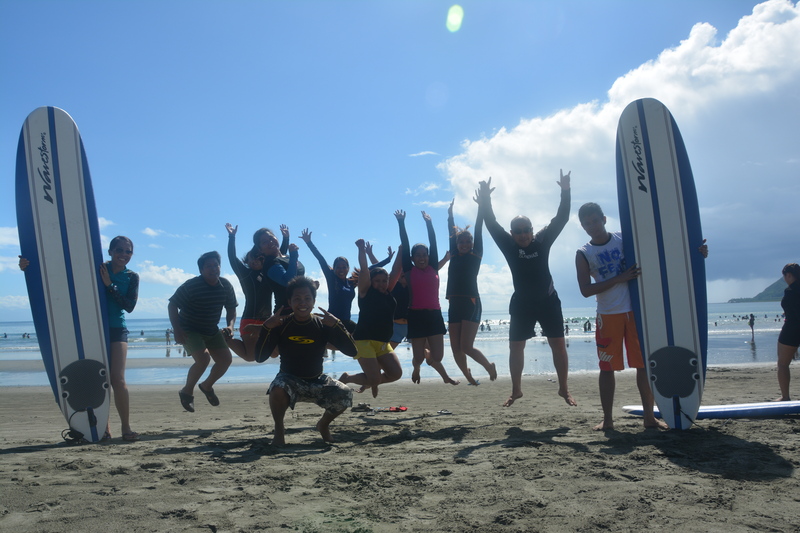 Me and my Finance collegues went to Baler and we learned and experienced the fun of surfing. 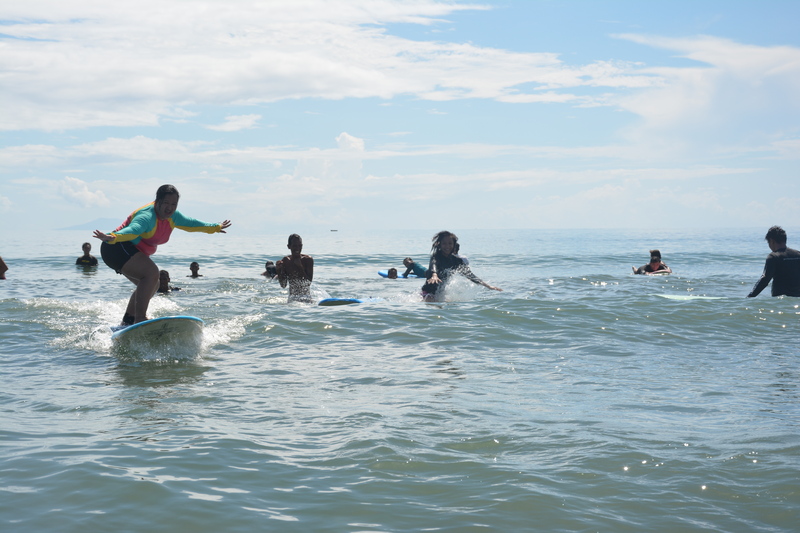 I know for a fact that my body is not for surfing, but I cannot deny the fact that it gives me a different kind of joy and energy. 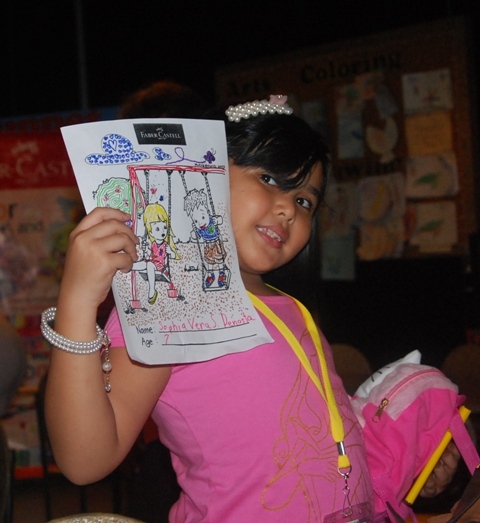 I really enjoyed the activity. It is quite addicting too. Just like pringles once you pop you cant stop. 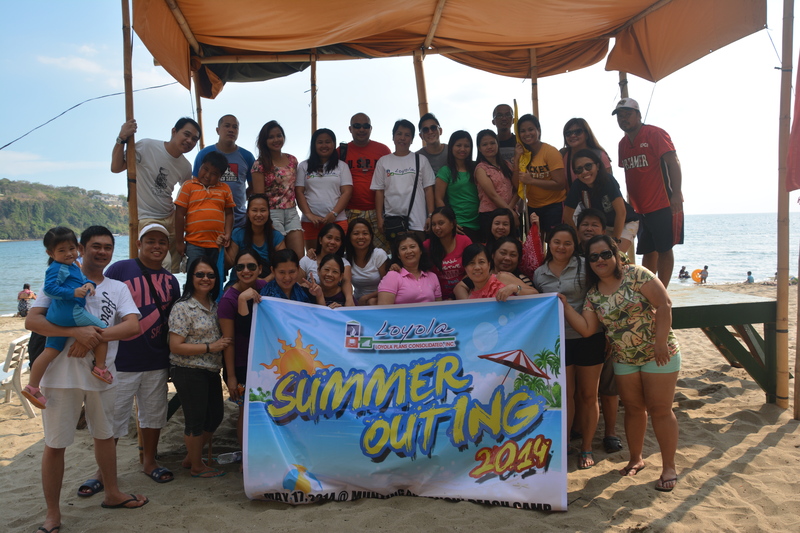 Every year we have our departmental summer outing. 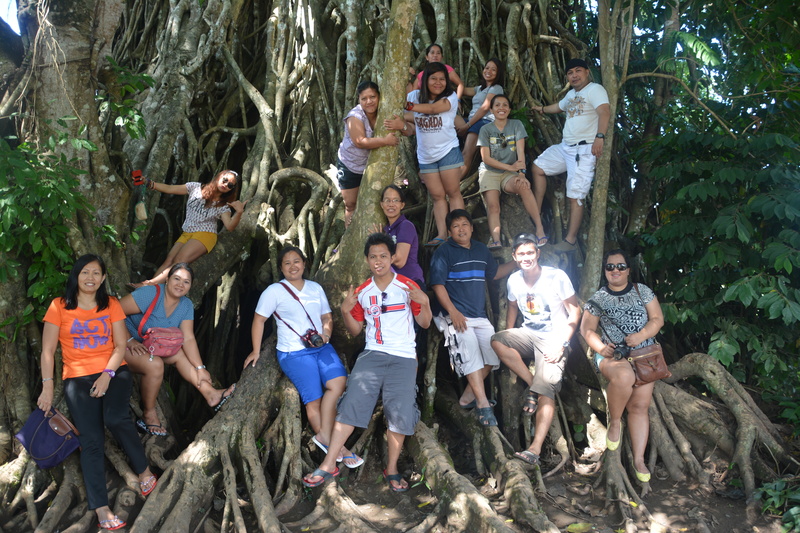 This year, LPCI Finance decided to visit the beautiful Baler. 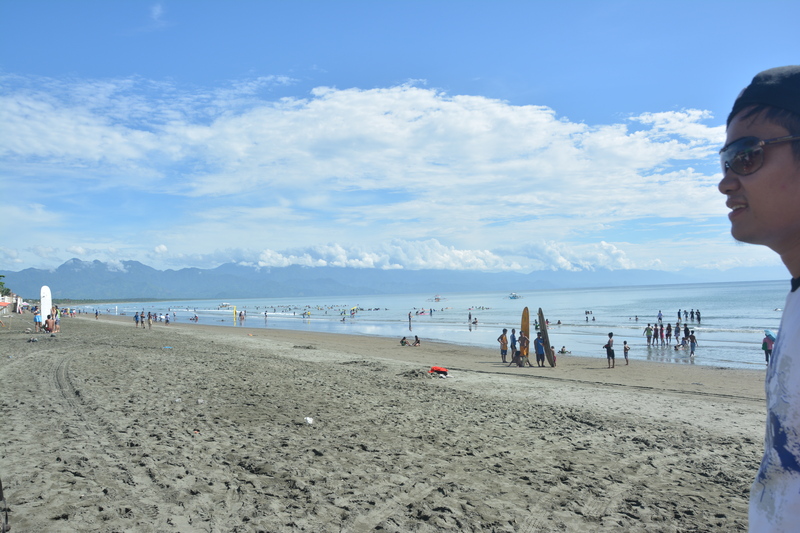 Yes Baler in Aurora. 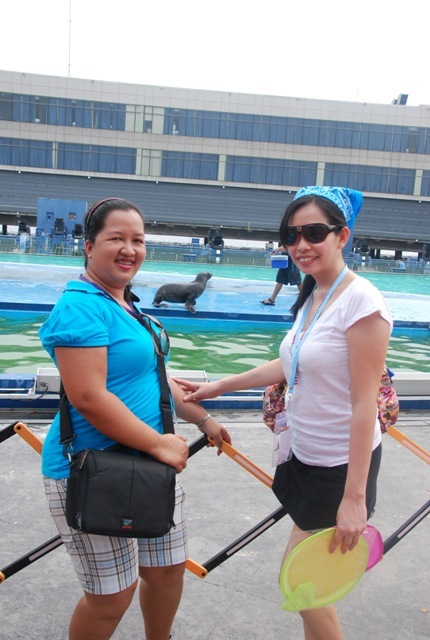 And yes it is quite far for we travelled 6 hours from Makati, but again it is worth the distance and the time. The place is so charming and relaxing. 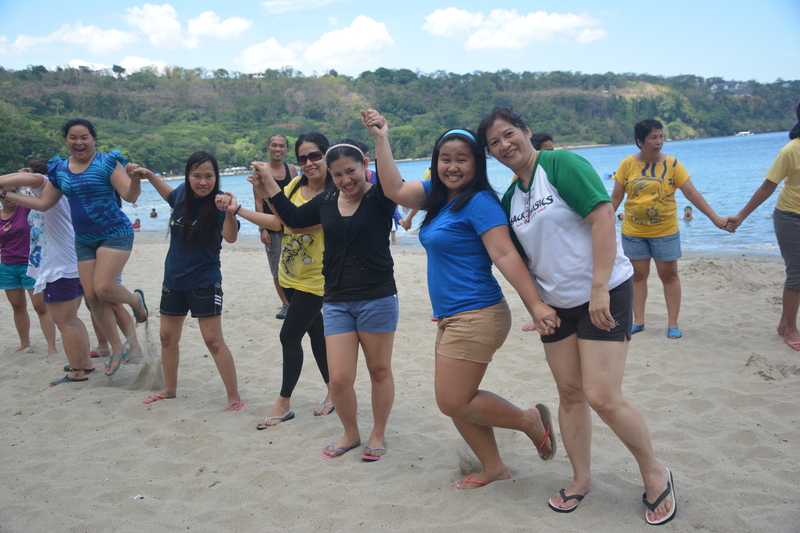 We had fun…As in so much fun. 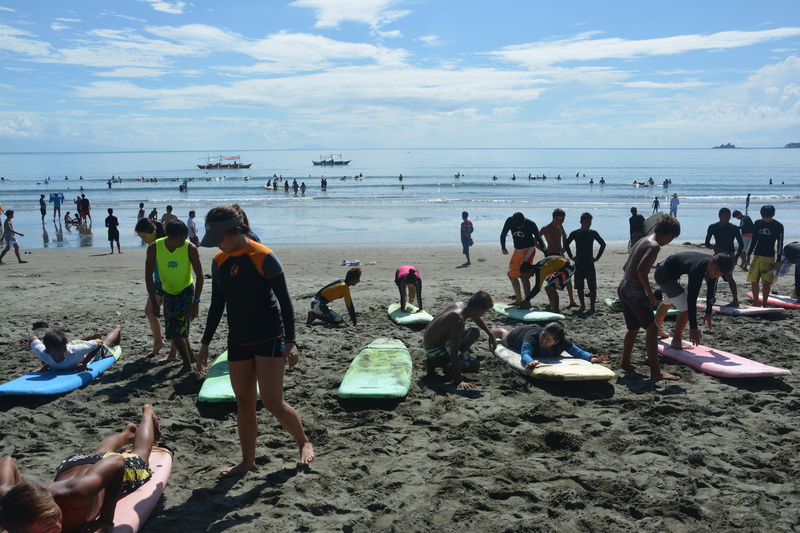 The best time to enjoy the sun and learn to surf. 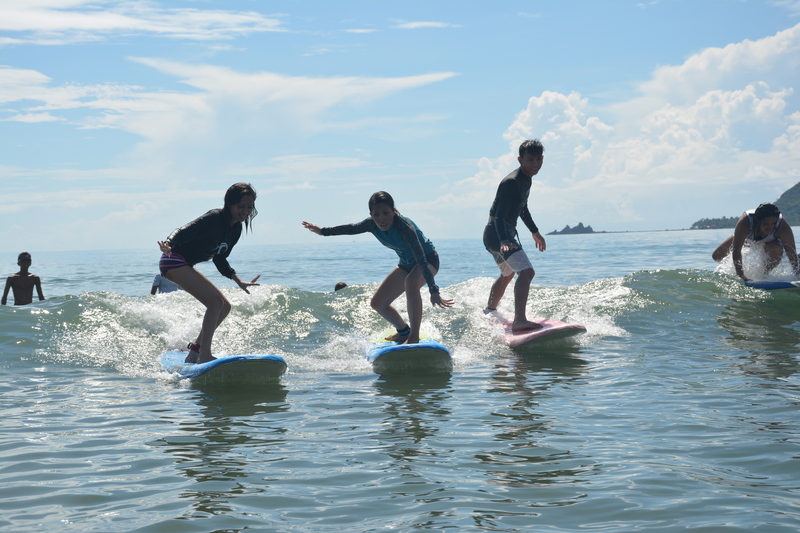 The waves are small, smooth, just perfect for us beginners. A short lesson on balancing ( easy for finance people … hehe) and right position etc. 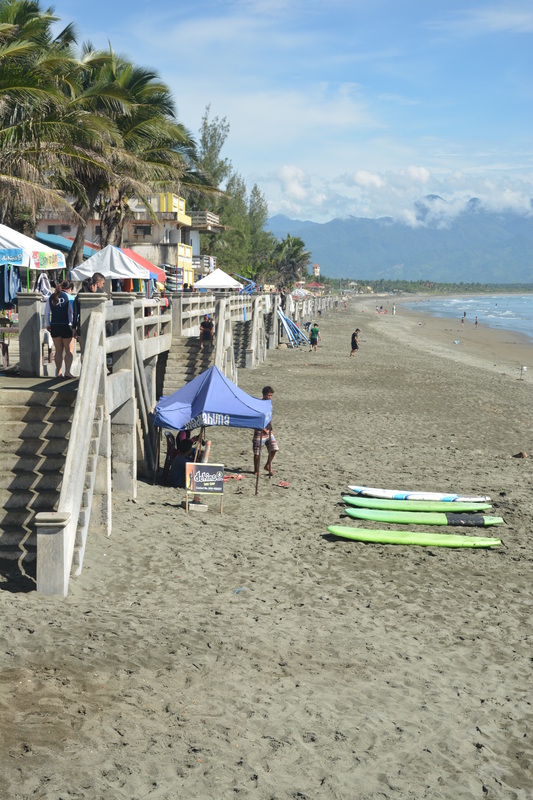 Baler is not all about surfing. We also visited other attractions that the locals proudly boasts. What a happy weekend for us. We forgot our worries and we were able to breath. 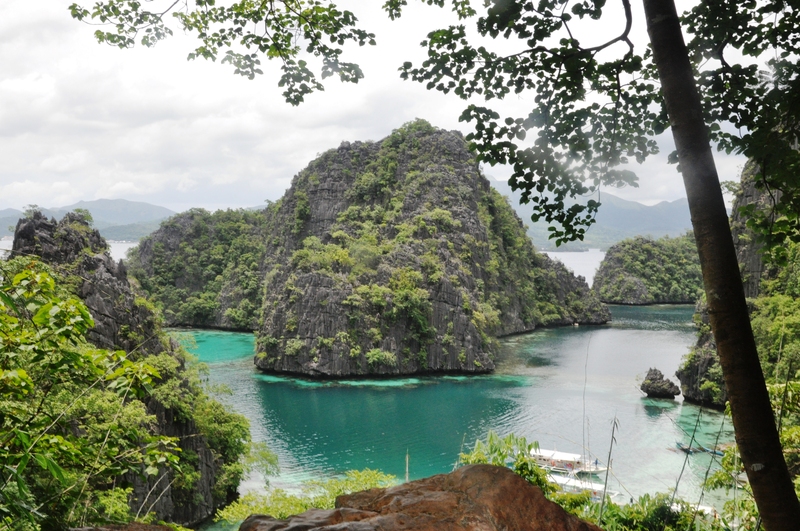 Philippines is really beautiful. So many places yet to discover and visit. 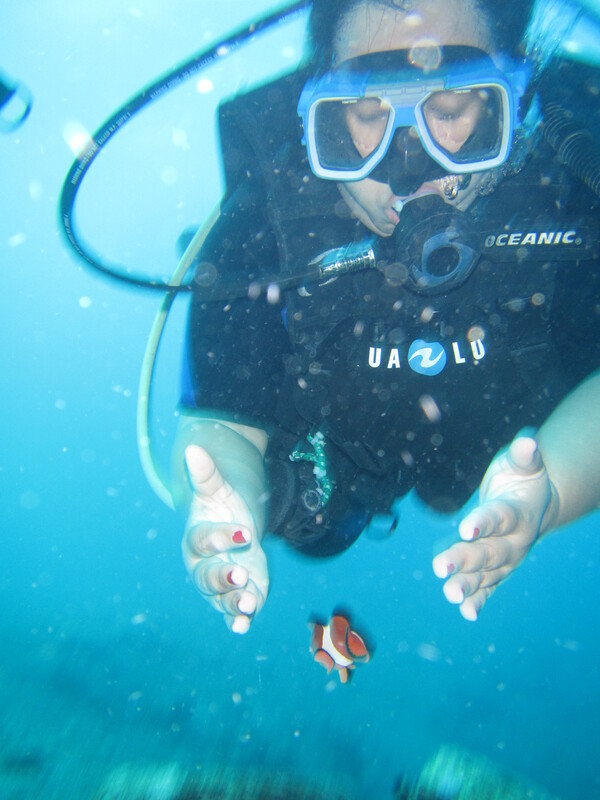 Scuba Diving… Not in my wildest dream did I think I will do it….. Sure it is in my bucket list, but actually doing it?!!!….. 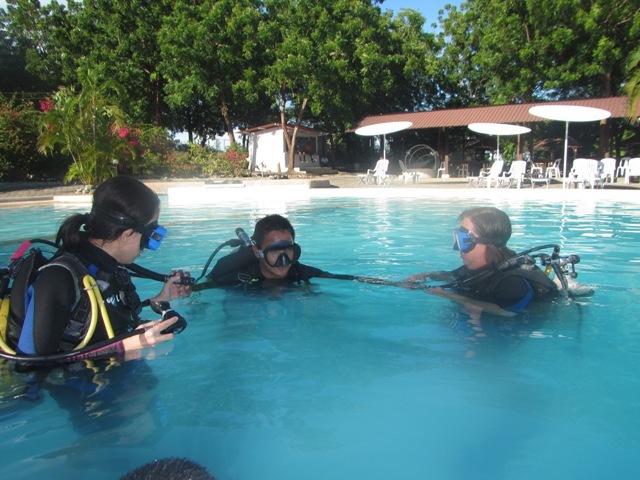 This all happen in Lemlunay Dive Resort in Sarangani Province, when I have nothing to do while on Christmas vacation. 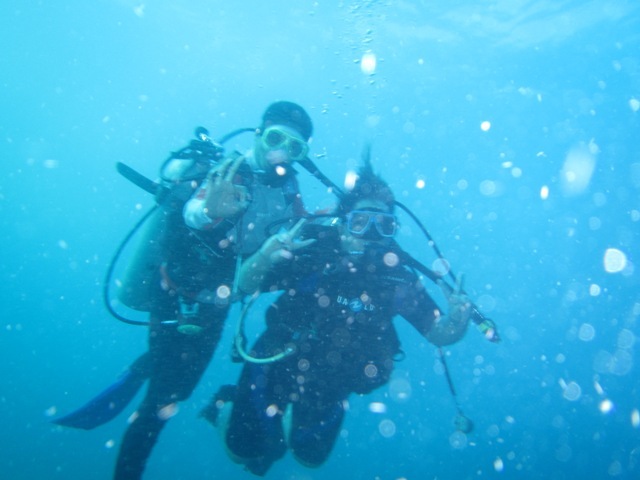 Our dive masters are from PADI (Professional Association of Diving Instructors. 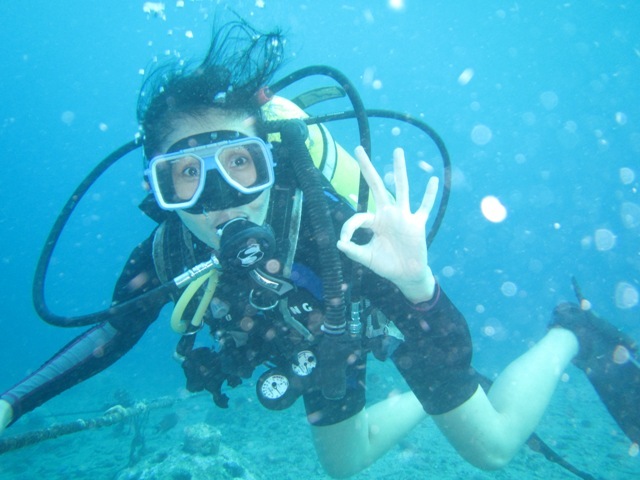 Knowing that, I feel safe…… After that one fun dive, I now want to have a diving license and explore more oceans of the Philippines. 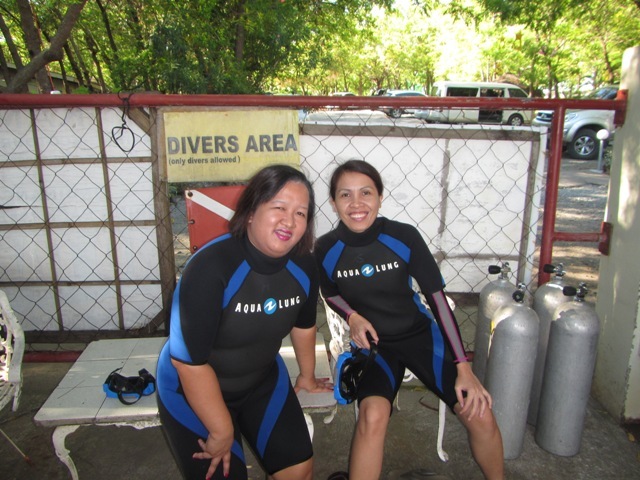 Are we really going to dive? Yes I am still alive. I am just disconnected and very busy lately. I really miss blogging. So whats up???? You know what, I have many stories to tell and things to show you. They are all in queue right now. And mind you it is getting longer everyday. 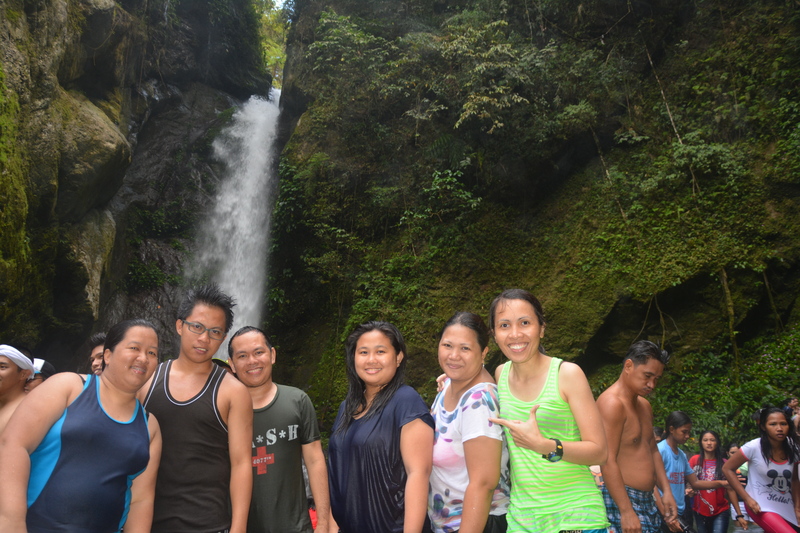 Right now I will show you you my latest escapade that happened just last weekend. 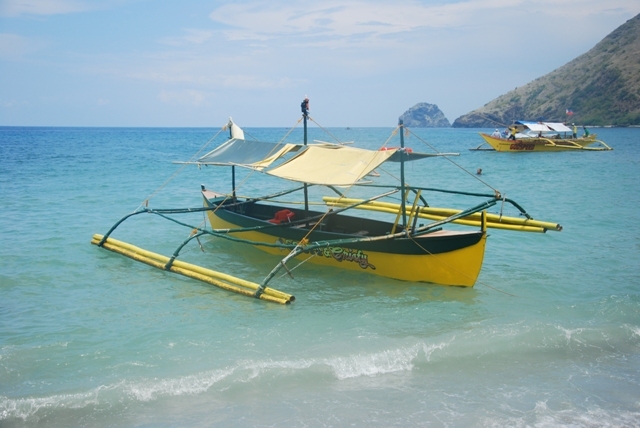 This is the premise: Before summer ends we want to go to the beach and just relax……. 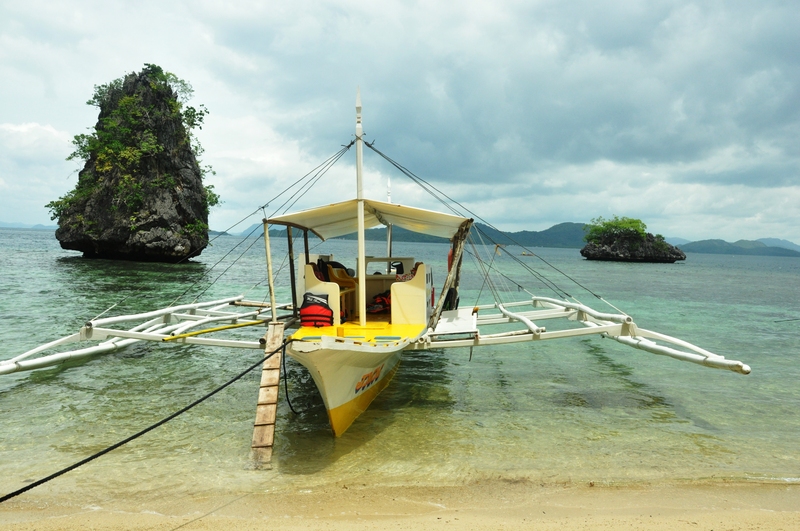 Thus off we went to Anawangin cove. 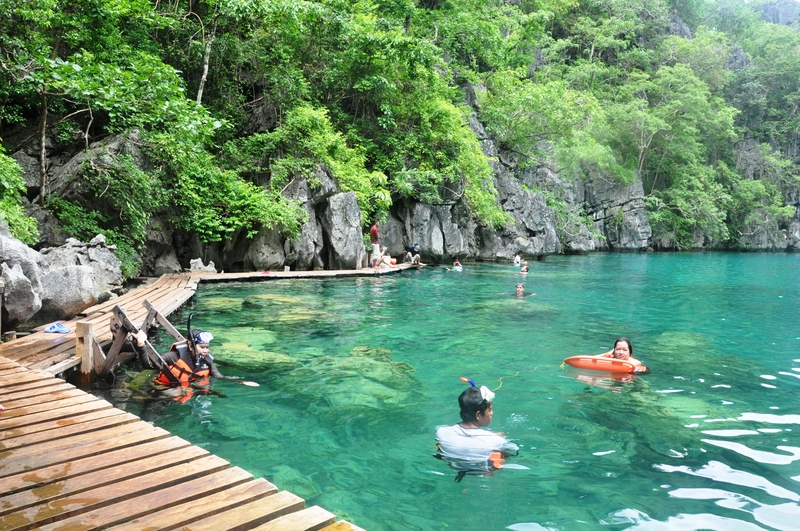 It is in Pondaquit in San Antonio, Zambales. 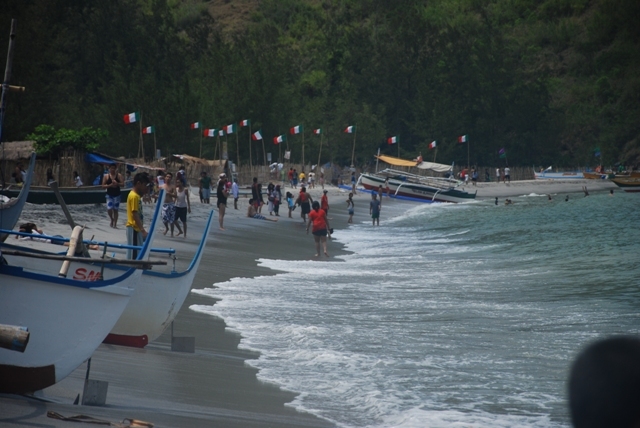 It is one of the nearest cove and camping site in North Luzon. 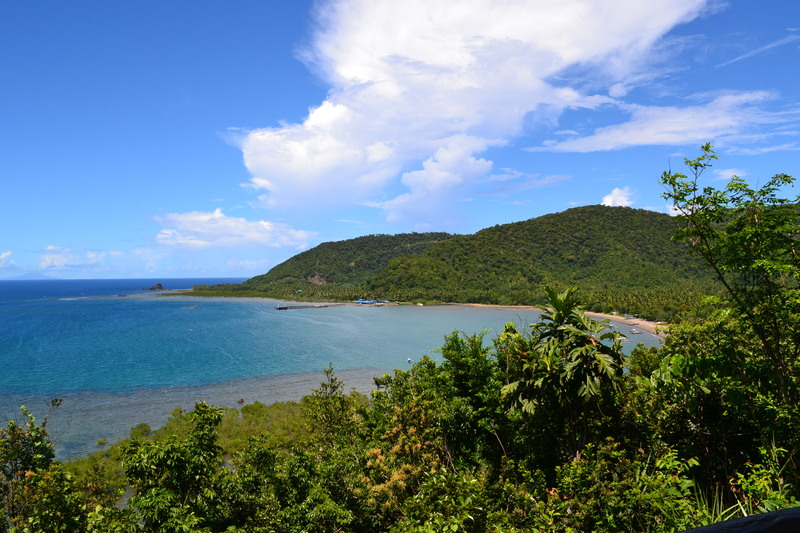 Because it is a cove it is surrounded by mountains of rocks. 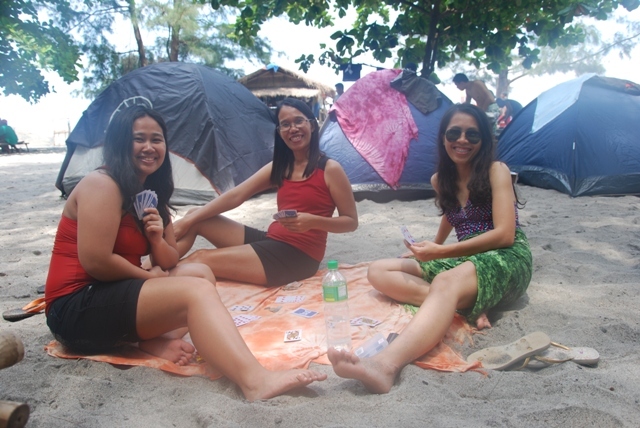 And what is more amazing is the tall pine trees on the beach. It was said that it just grew there after the eruption of mt. 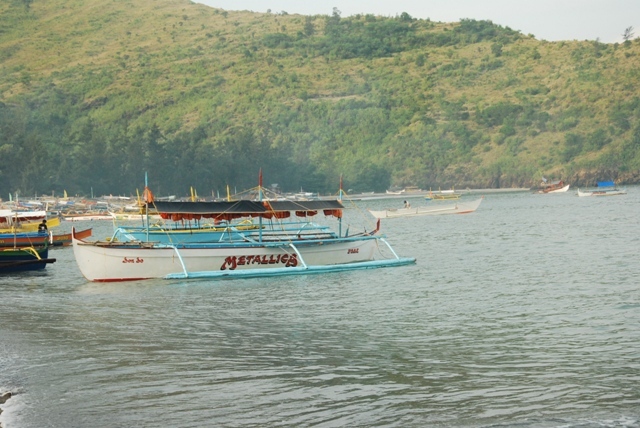 Pinatubo in 1991. Cool right? Makati to San Antonio 4 to five hours depending on traffic. We made it in four hours because we traveled on the wee hours of the morning. 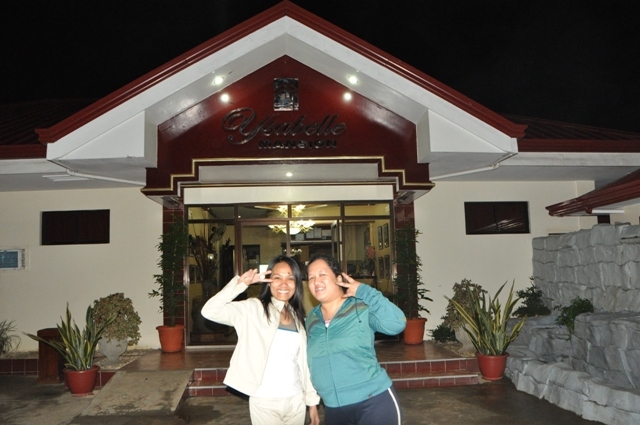 In San Antonio Municipal Hall, precy our boat contact picked us up and we traveled another 20 minutes to Pundaquit. 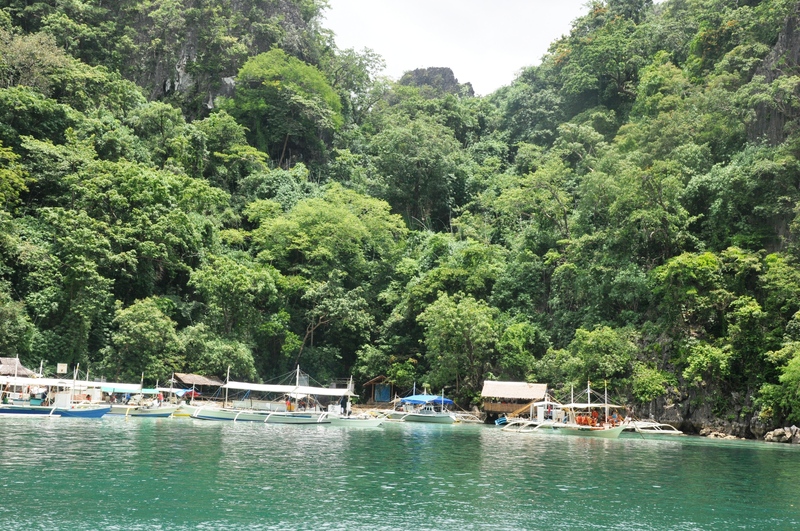 It is pundaquit where we will ride the boat going to Anawangin. That is another 30 to 45 minutes. 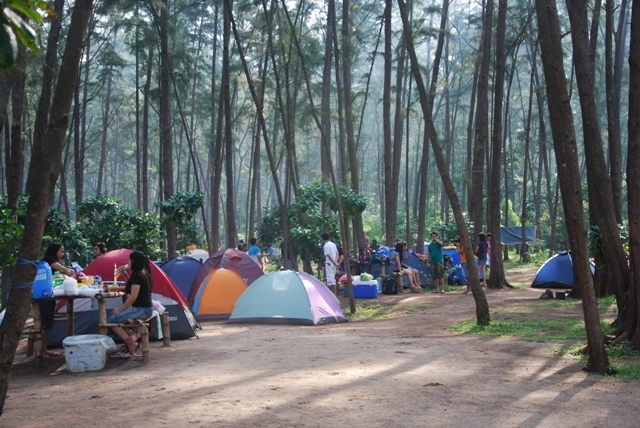 Precy also have tents available for rent in case you do not have one. 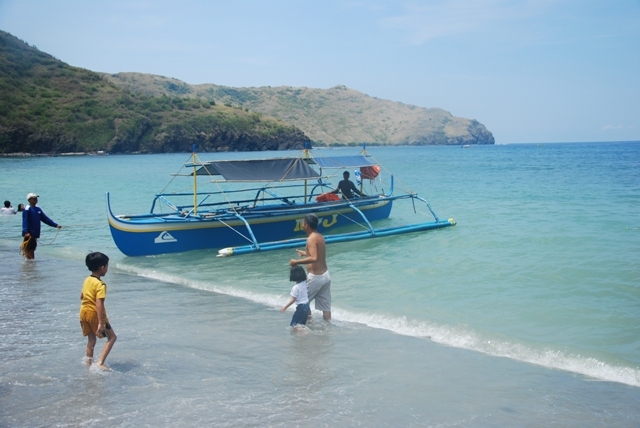 Remember that Anawangin cove is one of the famous camping sites. Being one, bringing tents, plastic mats, picnic blanket are essential. I am telling you this because we did not bring any of those. Haha. And so we learned our lesson. Our excuse is that we wont stay over night. But still, It is so fun to lounge on the soft sand and read a good book and hear the ocean waves from the shore……So relaxing and cosy. 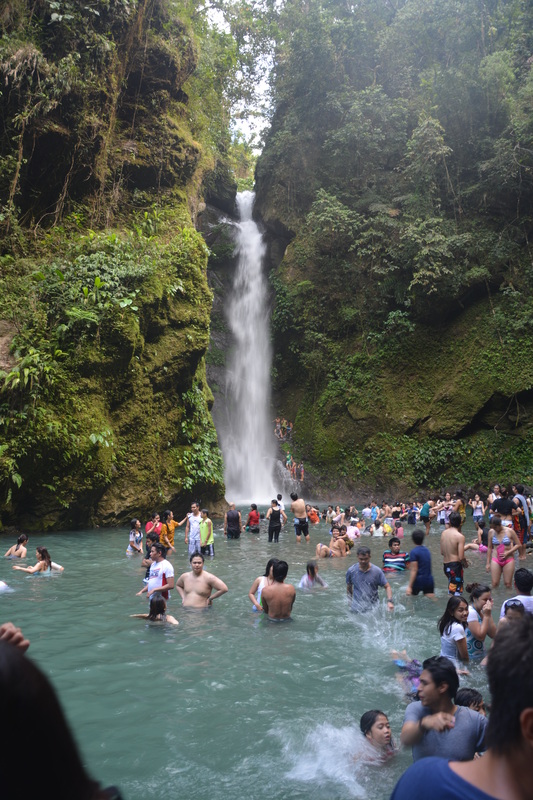 Relax and just chill….Enjoy the beauty of nature and recharge your energy. 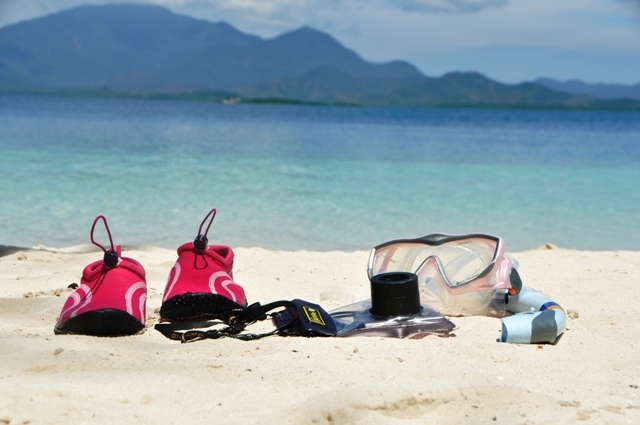 Swim all you can with. The water is inviting and the waves are so exciting to tackle. 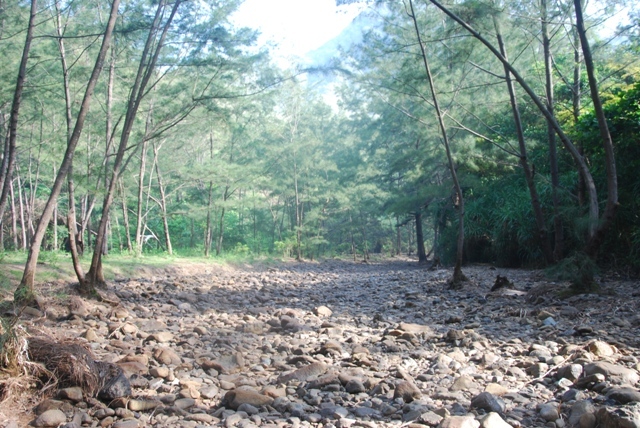 When we went there it is kind of wavy and the current is strong. 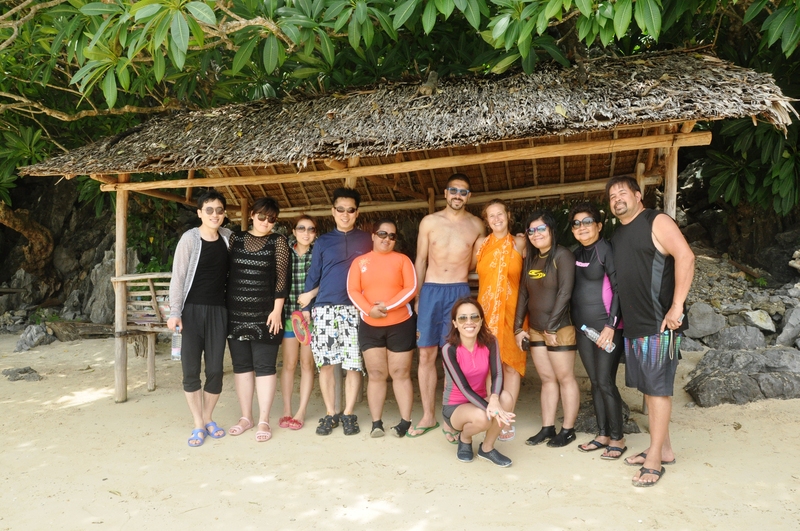 But nonetheless we still had a great time in the water. Practice photography. 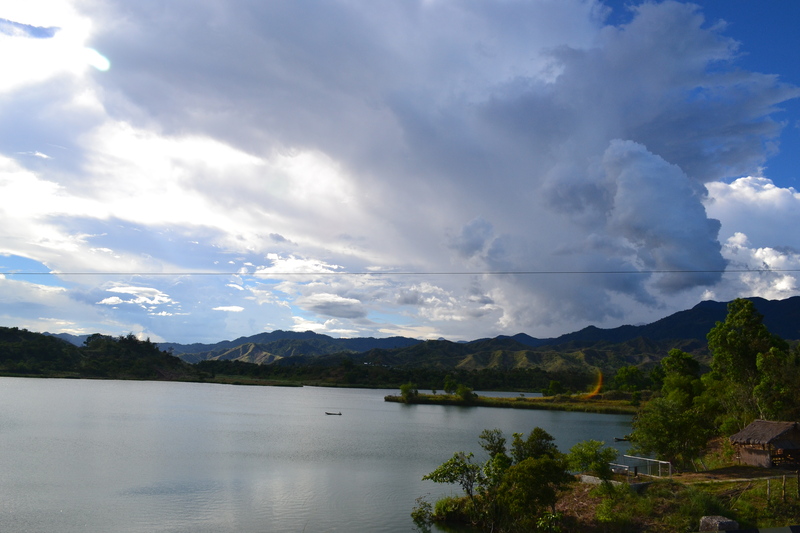 Anawangin is gifted with such beautiful landscape. Every corner is like a painting. 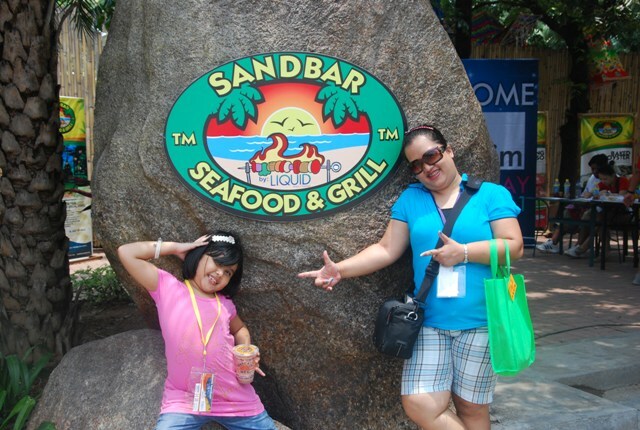 Why not compose your own perfect picture and let it speak volume about the place. 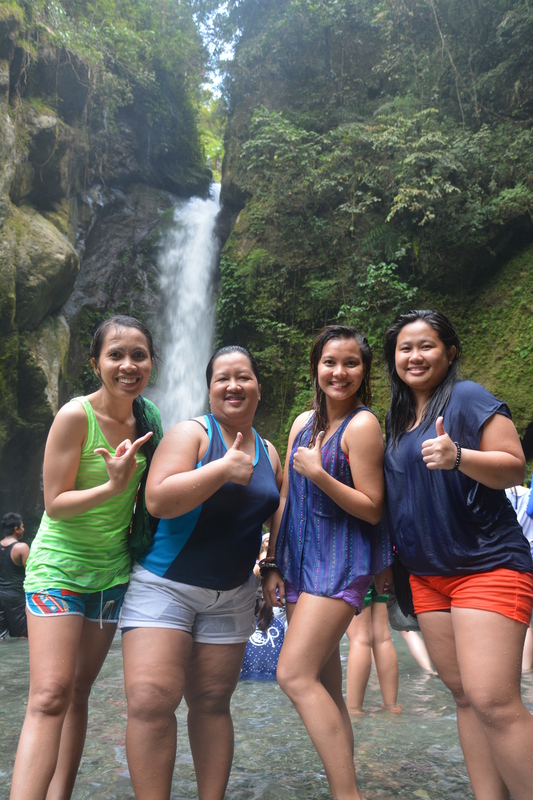 Summer, is really more fun in the Philippines. 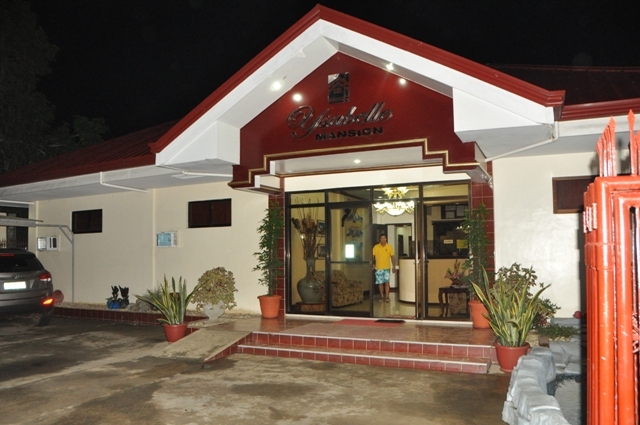 Okay, so moving on….. Ysabel mansion is the best place to stay when you are in Puerto Princesa. 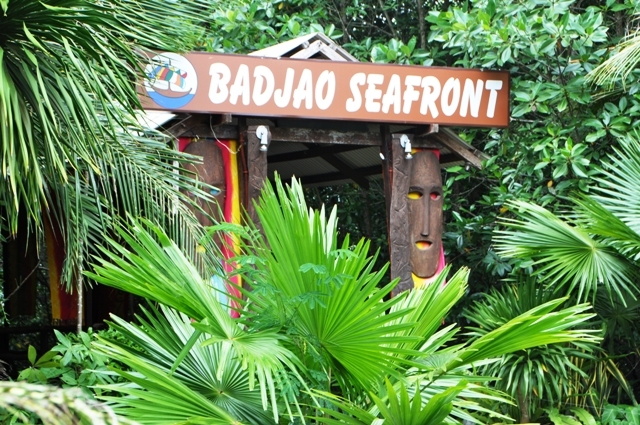 The staff are friendly and the rooms are really clean. There is breakfast and they do remind you of your land arrangements the night before and the time your service will arrive and when that day arrives, they also knock on your door 15 minutes before your service arrives just to be sure you did not forget. They also asked you what time you want your breakfast served and they also wake you up or call you when your breakfast is ready. What else can I say? I really enjoyed my stay there. Their location is not in the heart of the city but it worked good for us. 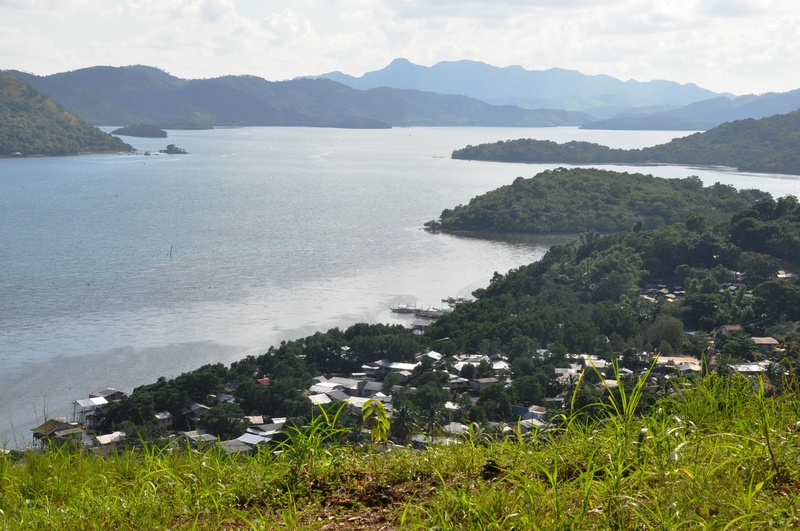 Anyway, any place in Puerto Princesa is just one tricycle ride away and whats more important is that you can really relax there and get all the rest you need after all the adventure you had the whole day. 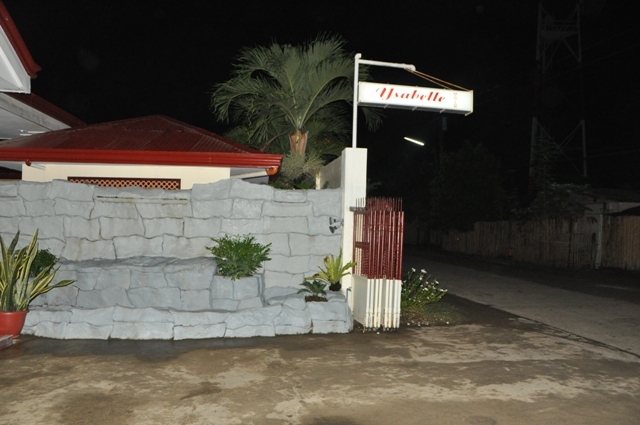 This place is very much recommended specially for budget conscious travelers that are also particular for their safety and the place’s cleanliness. Booking is easy. They reply really fast. Just visit their website here. Their website is complete with all the information you need. 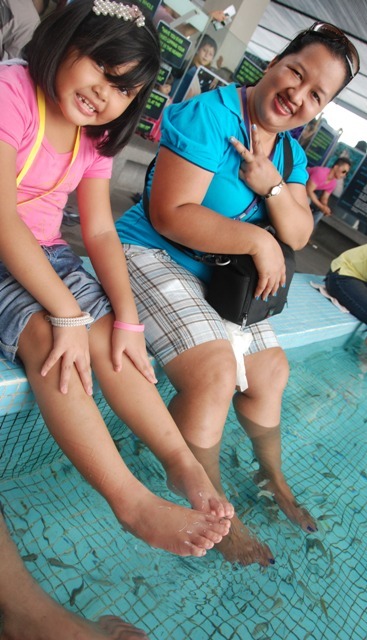 They are located in 214 Abad Santos extension. You can also reach them in their Landline (63)(48) 723-0992, Mobile No. (63)918-4089377 / (63)929-2417797 or you can email them at info@ysabellemansion.com. Uhhmmm and yes they also picked us up from the airport and also drop us there when we left. Complete service from start to finish. 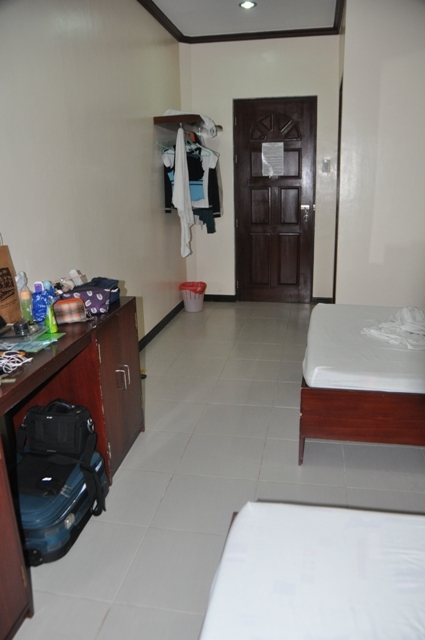 Here are some of our pictures….You can visit their website for more pictures on their rooms. They really look exactly those. hehe. I am back from my very wonderful trip……And this is a teaser……I am recharged and so dark but simply relaxed and happy!!! 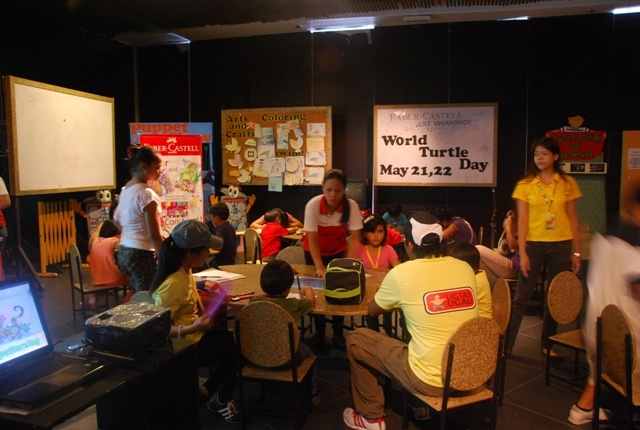 May 21, 2011 was Holcim Philippines Family day. I joined that event. 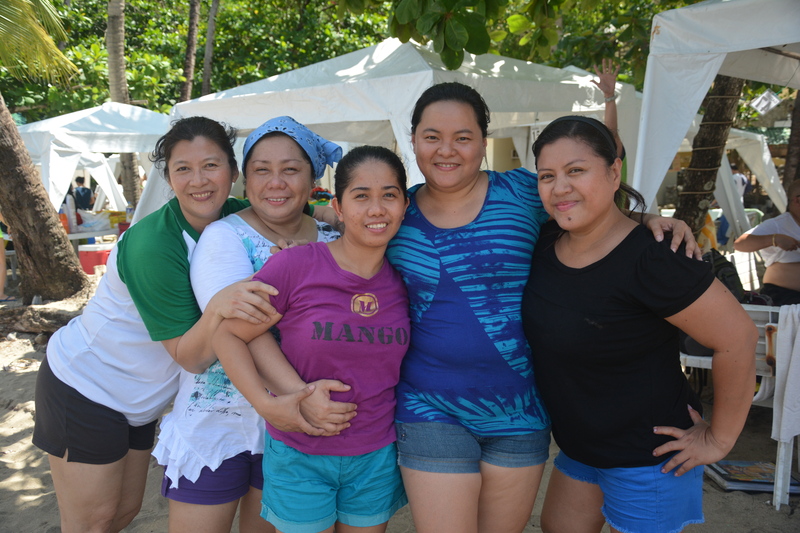 Yes, I am not from Holcim but my friend is and since we are single ladies and her family is in the province (General Santos), so she invited us instead to join her and stand as her family. I sure enjoyed the day. 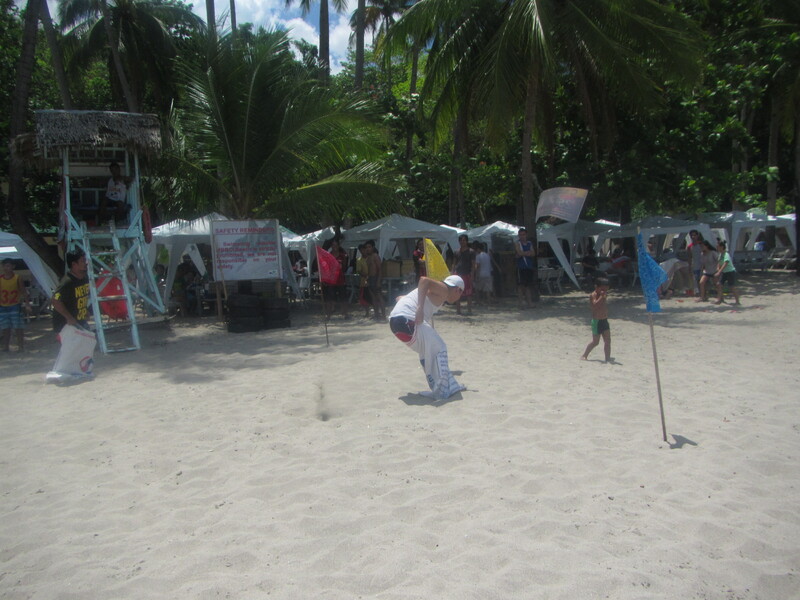 The sun is so shiny and very hot but still I had so much fun. 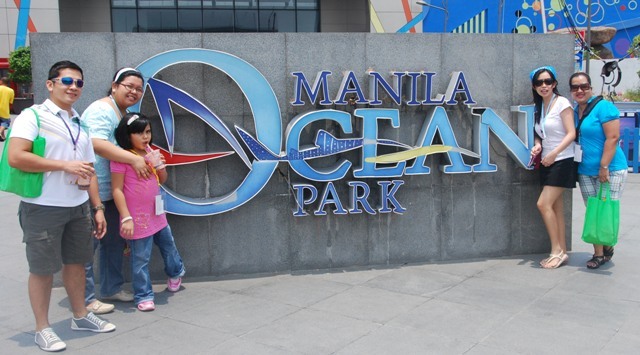 Ocean Park Manila is a perfect destination for family and friends. 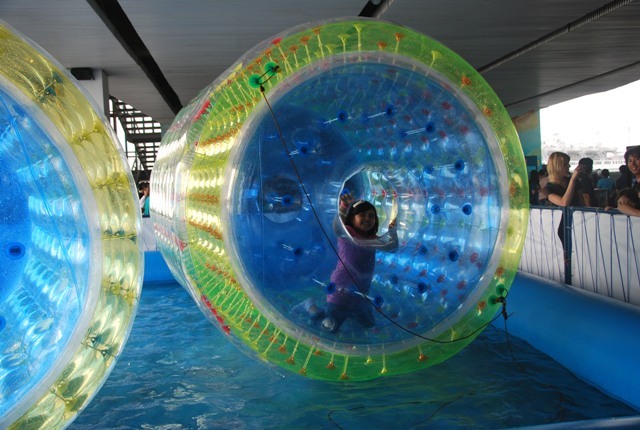 It offers many activities not just for children but also for kids at heart. I really enjoyed and I will be back. Next time I will explore other parts of the park that I have not seen. I hope that next time, Antarctica fishing is already open. So here are some pictures taken during that day. 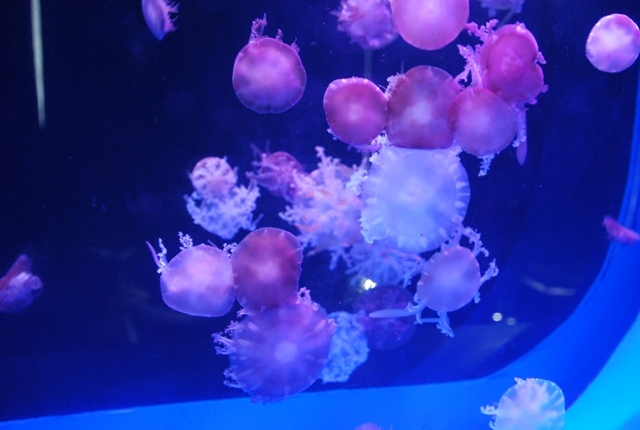 Flash is not allowed in the oceanarium so my photography is limited plus I dot not know how to turn off my camera flash. I have to manually hold my flash so that it will not flare ( I know now though but its too late ). Any flare of the light would disturb marine life the guide said…….But still I took many pictures but well as expected not all are good quality. 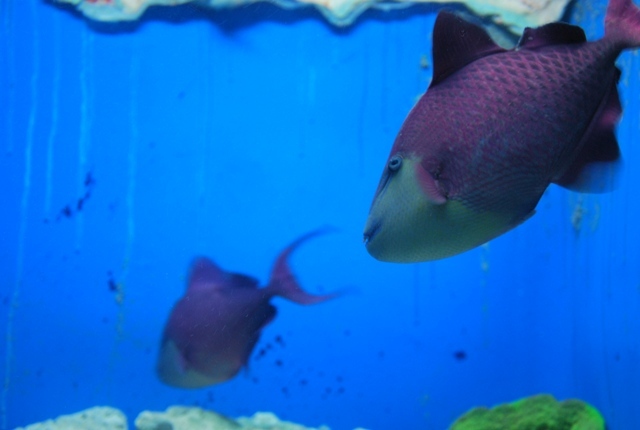 I forgot the name of these fishes but they are cute and purple. 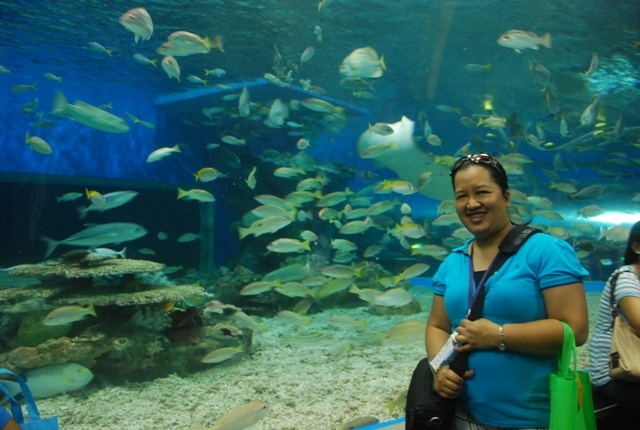 This is inside oceanarium. Faber castel occupied it intended for kids. And us that are like kids. 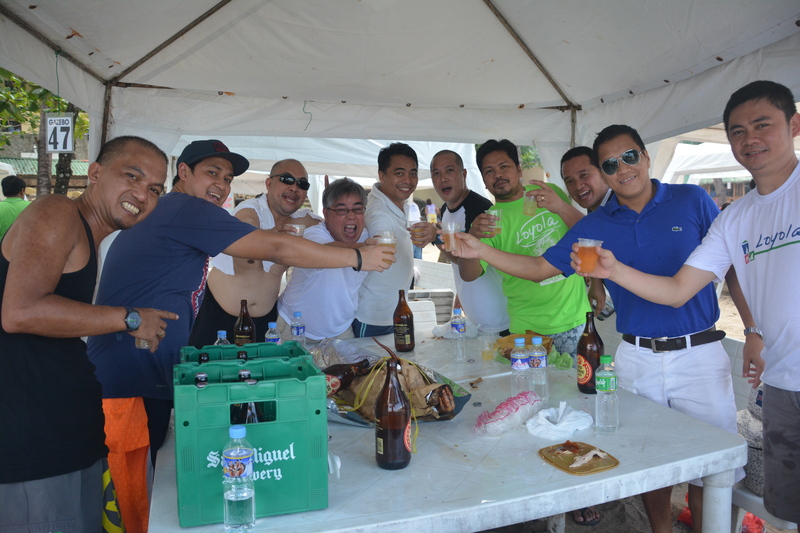 My barkada...Friends for more than 2 decades and counting. 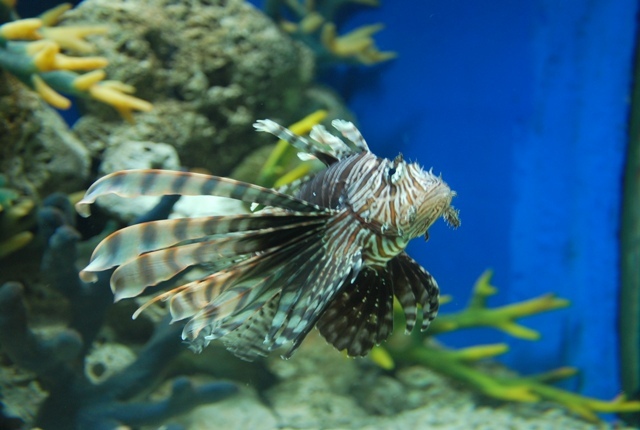 What are you waiting for....Visit Ocean Park and enjoy as I did.